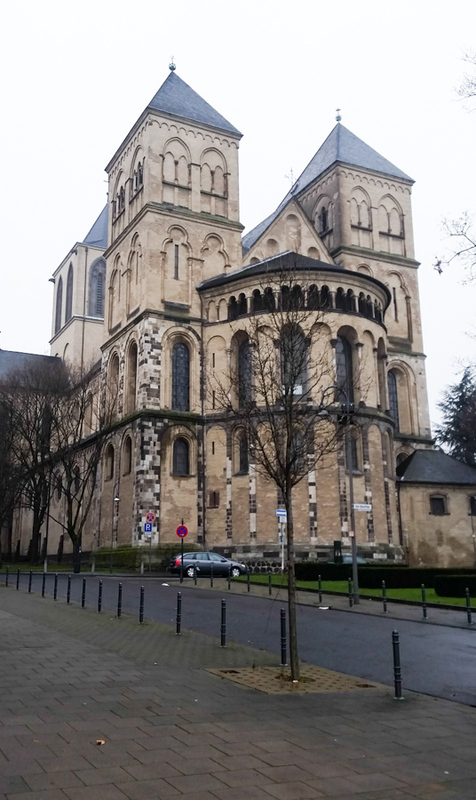 Saint Kunibert [German Wikipedia] is the youngest of the 12 Romanesque churches in the old city. 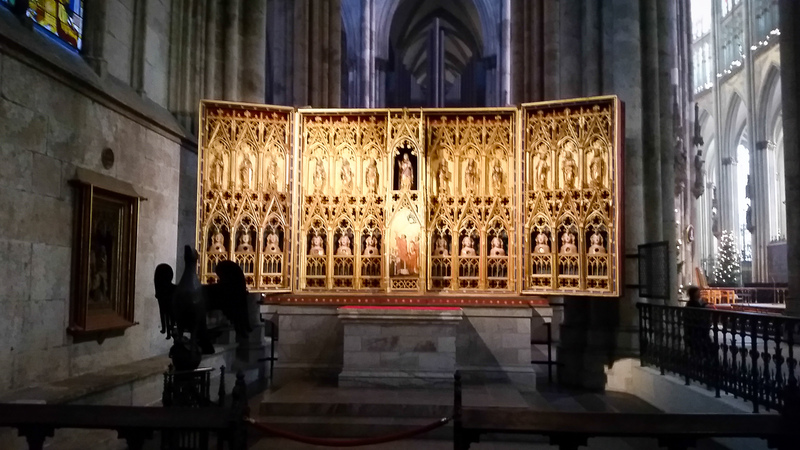 it was consecrated in 1247 one year before work on the cathedral began. 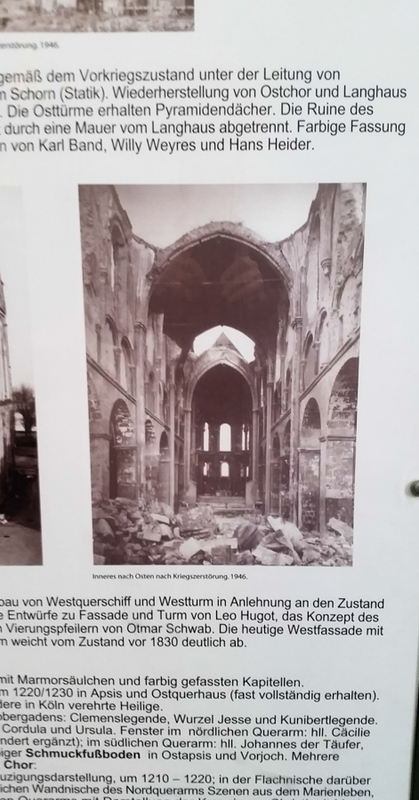 During the bombing of the historical center the roof went up in flames and the west tower was hit by a bomb. 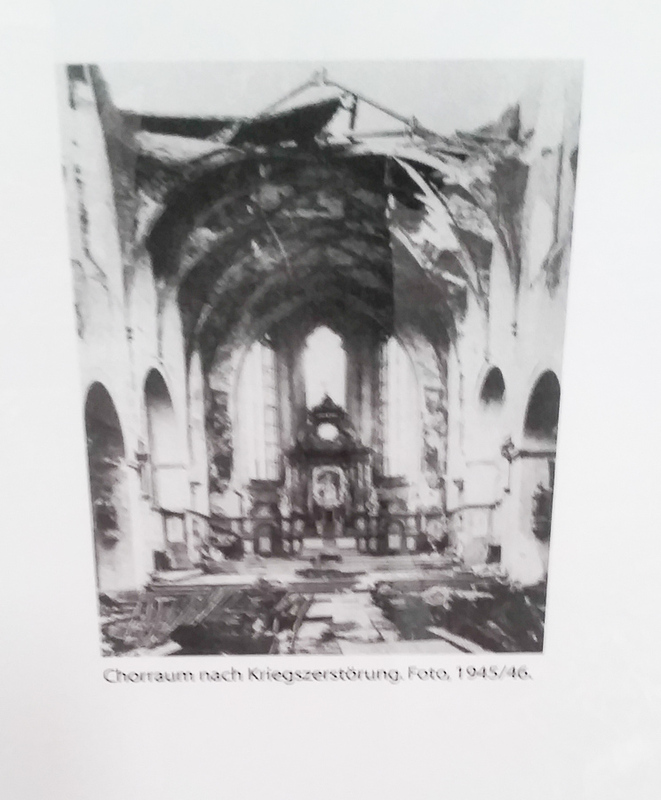 At the end of the 1970s initiatives were taken to rebuild and in 1993 the church was reconstructed. 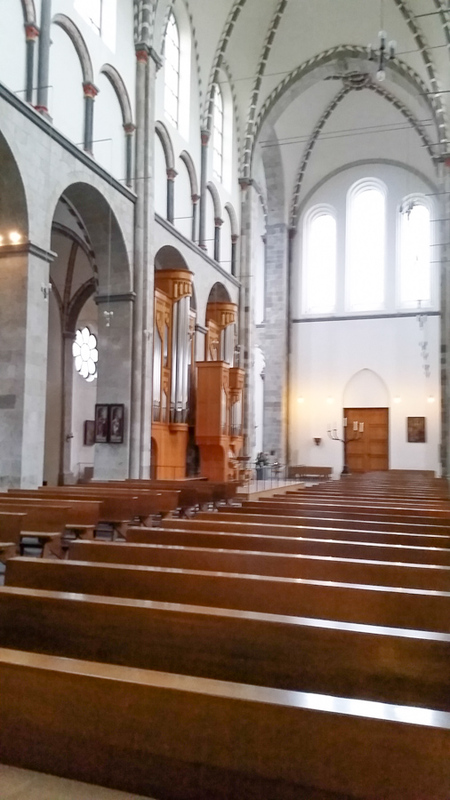 In 1993 a Kuhn organ was installed. 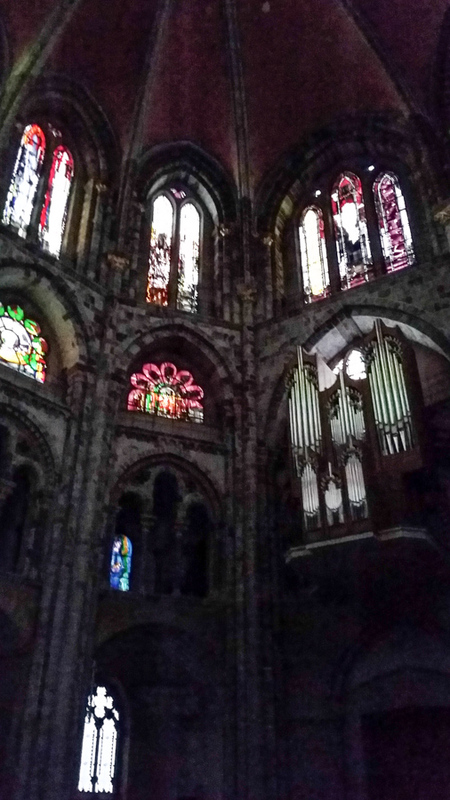 There are eight medieval stained glass in the apse. 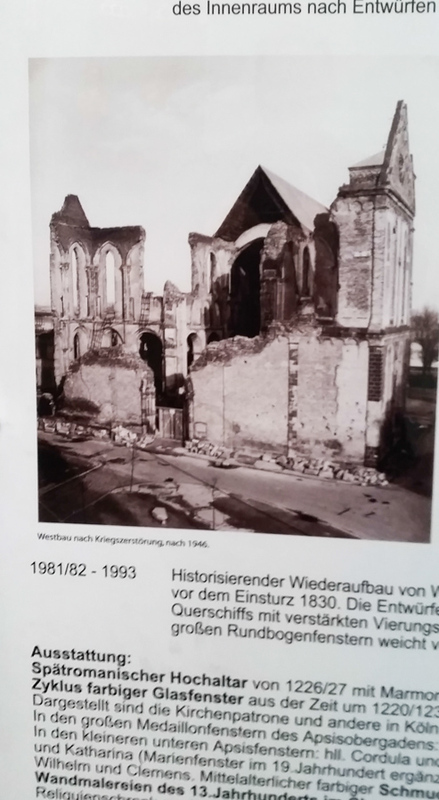 Once again the artistic treasures of our Catholic heritage perished in the bombings so all these buildings are very plain but the proportion and dimensions are original. 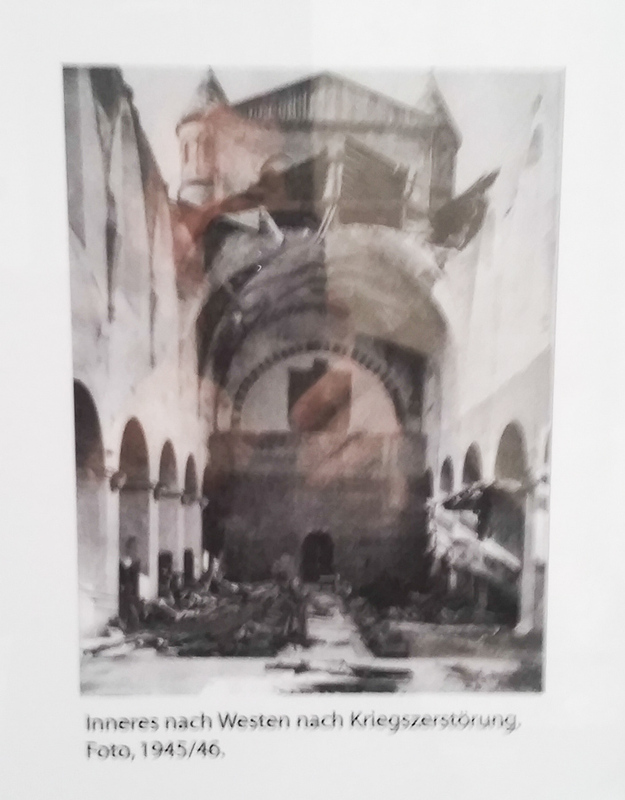 In such a plain and noble setting the few pieces of art salvaged from the rubble are striking. 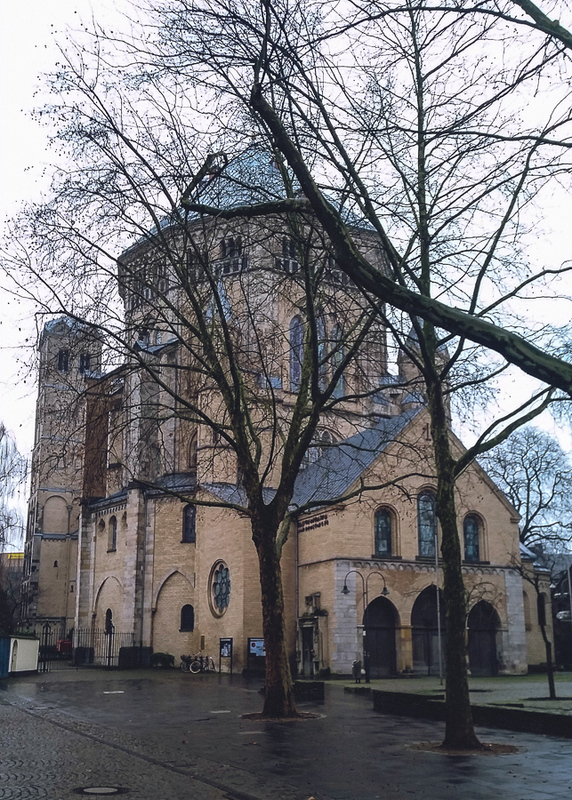 Santa Maria in Lyskirchen, a Romanesque church in Cologne, is “the smallest of the twelve Romanesque churches in Cologne.” Here is the Lyskirchen website. 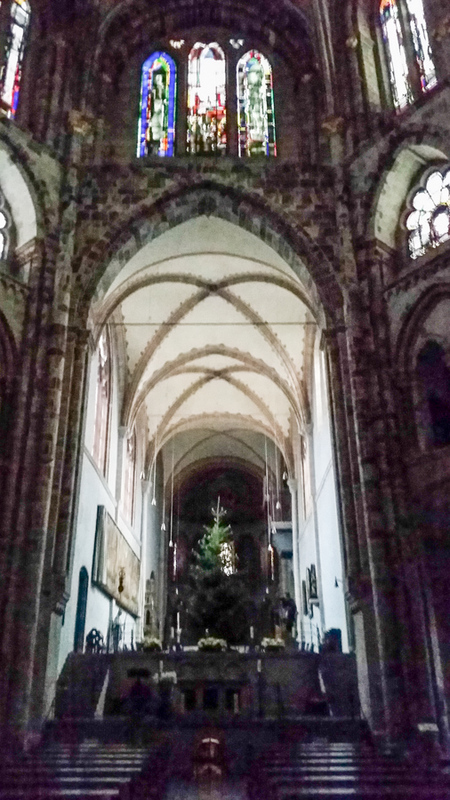 Historic vaulting of Lyskirchen. 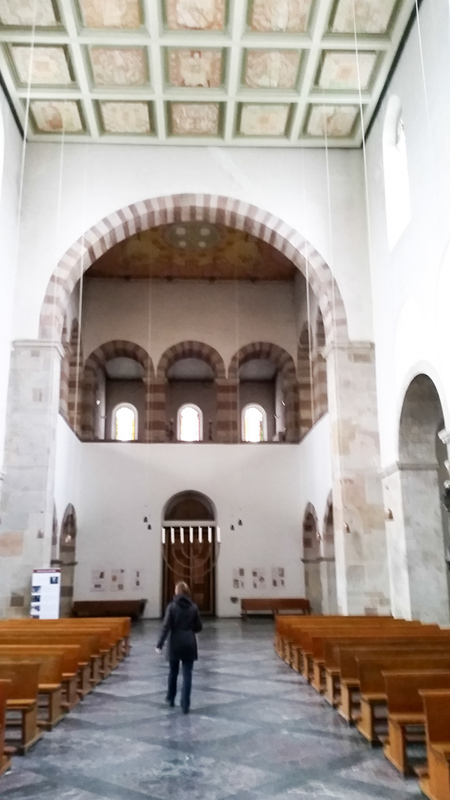 12th century frescoes. 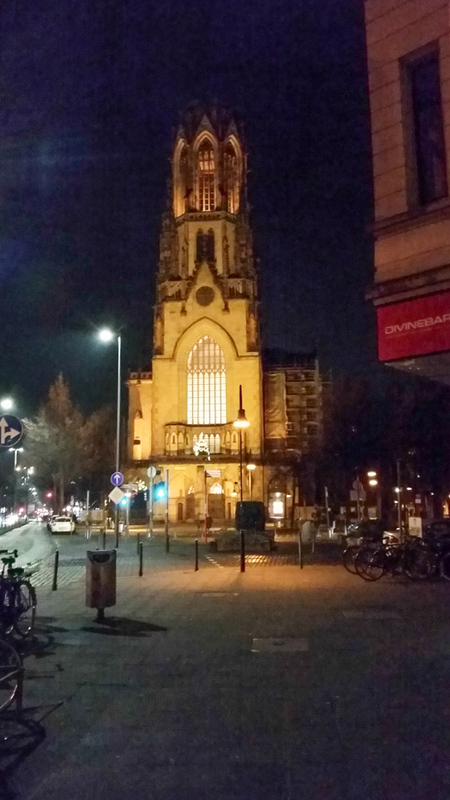 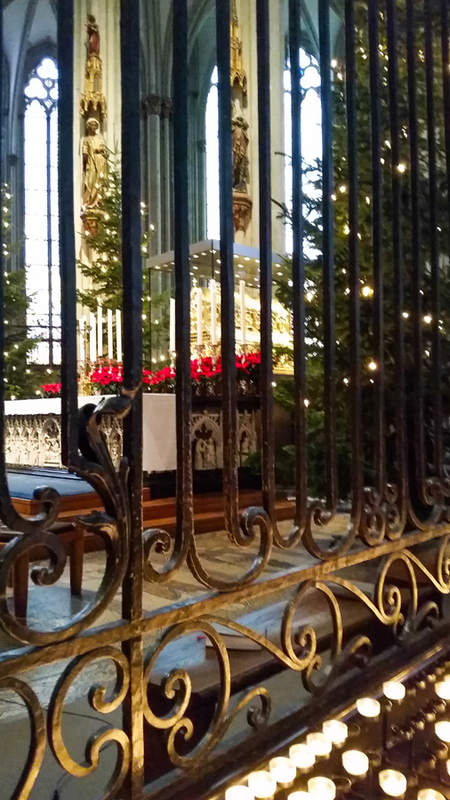 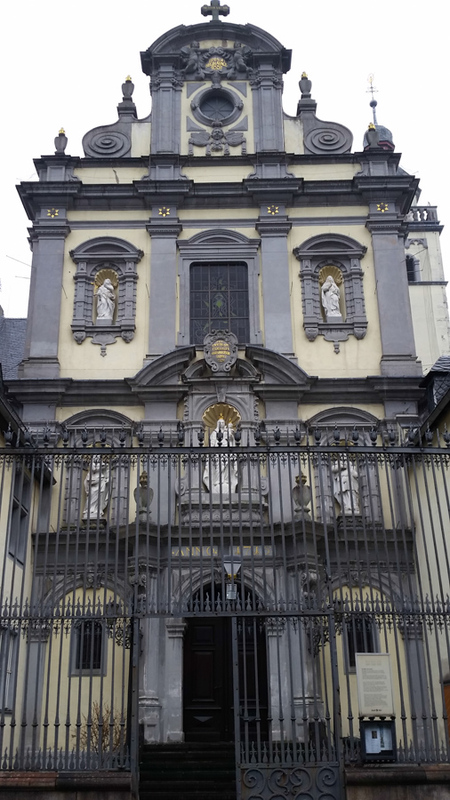 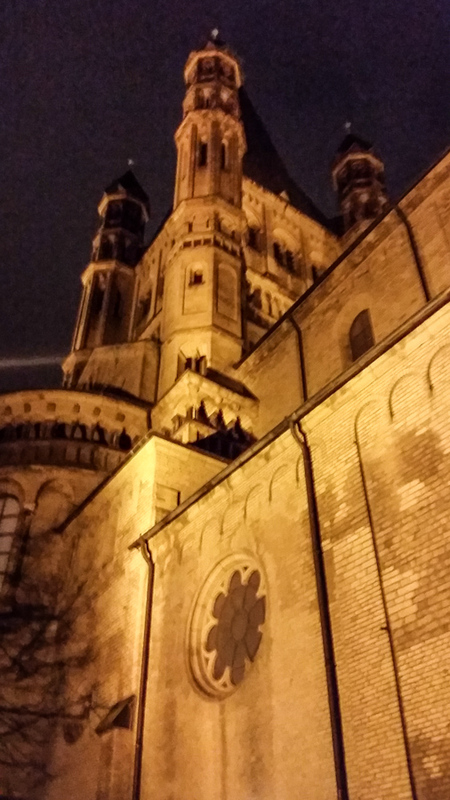 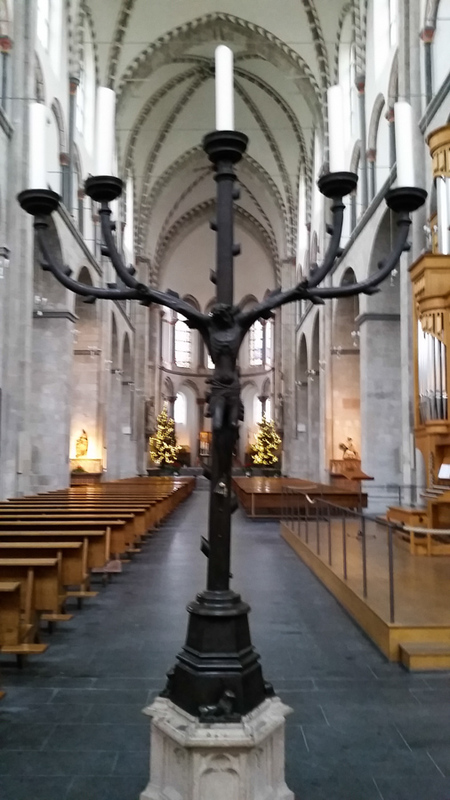 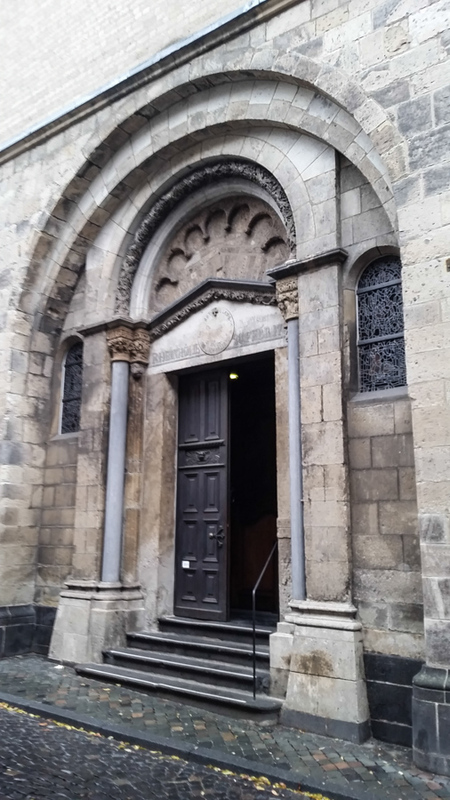 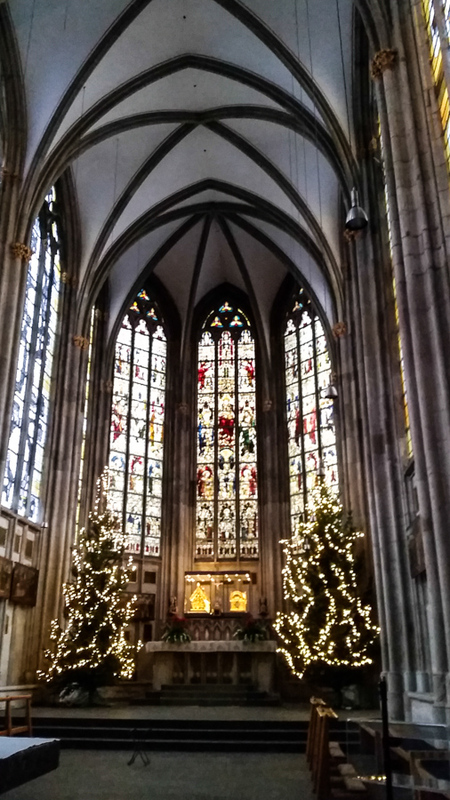 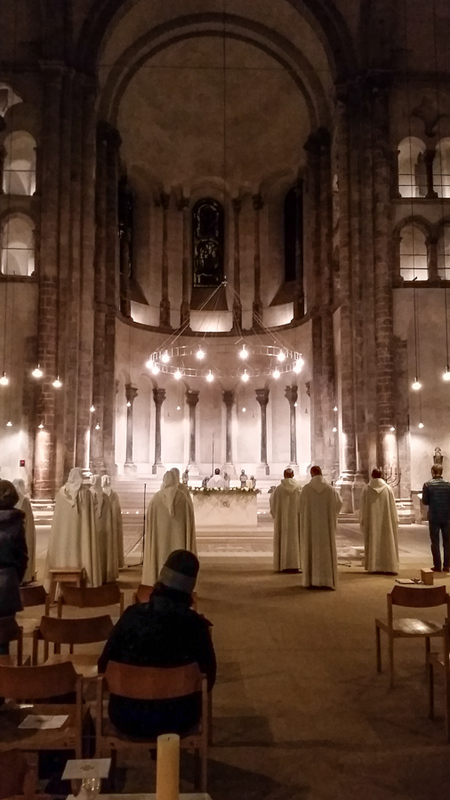 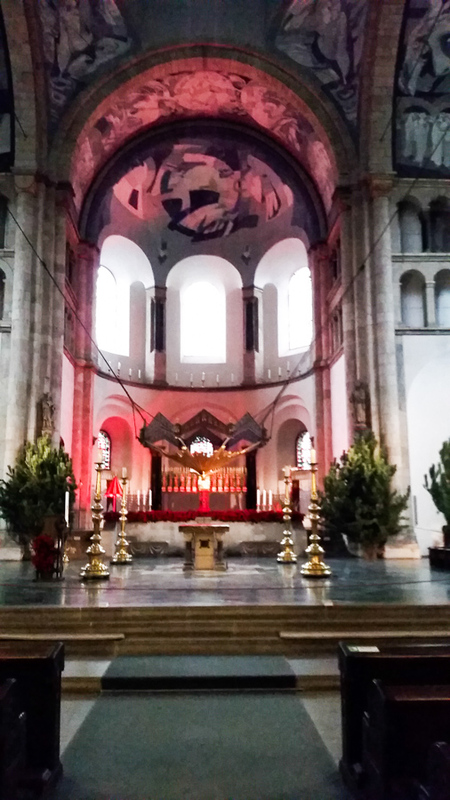 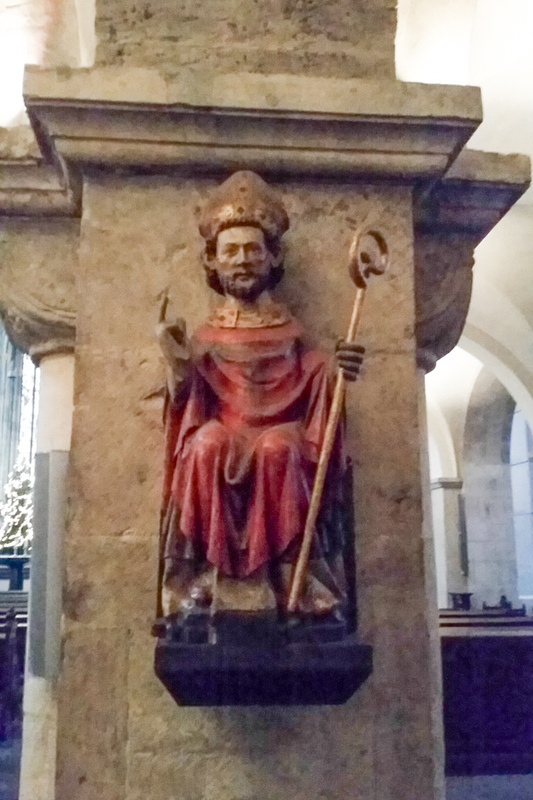 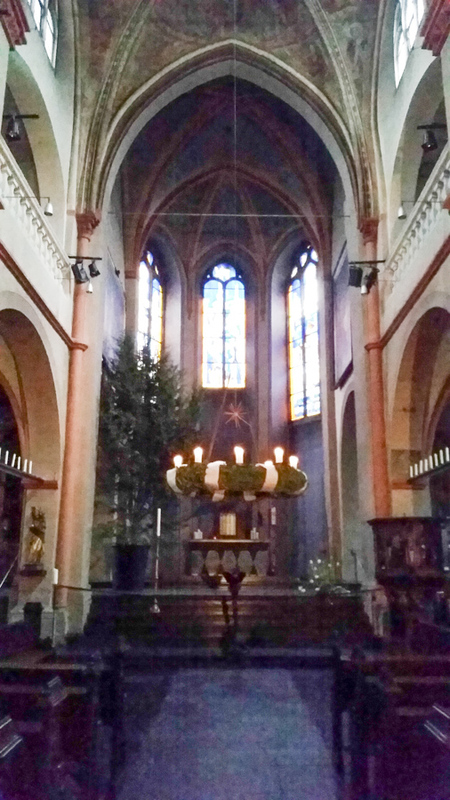 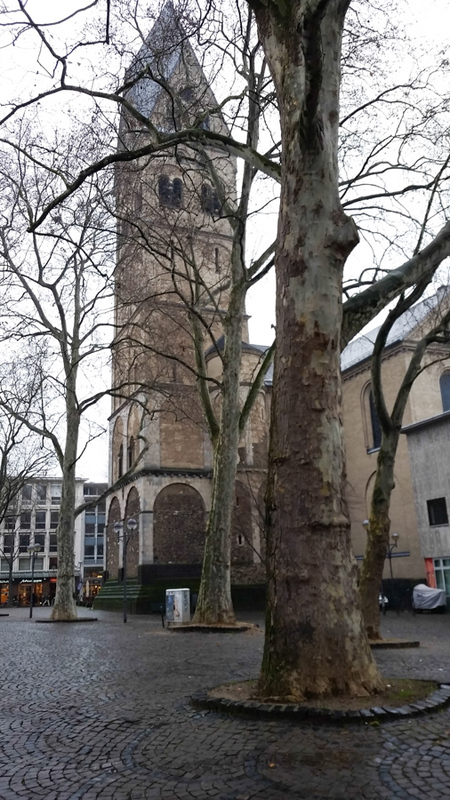 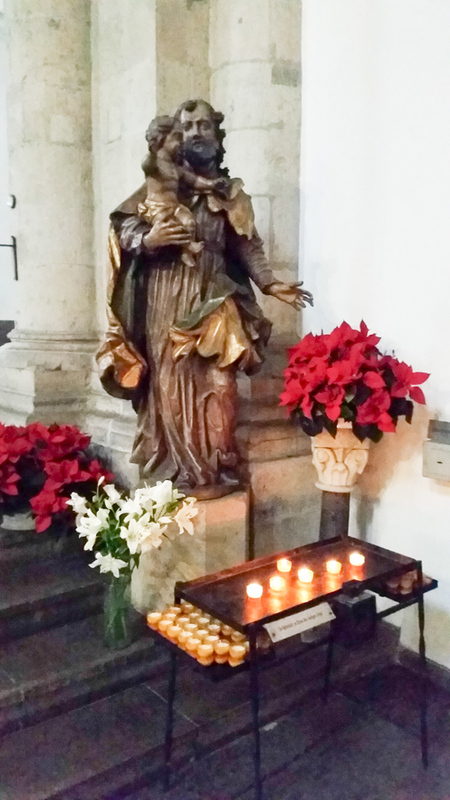 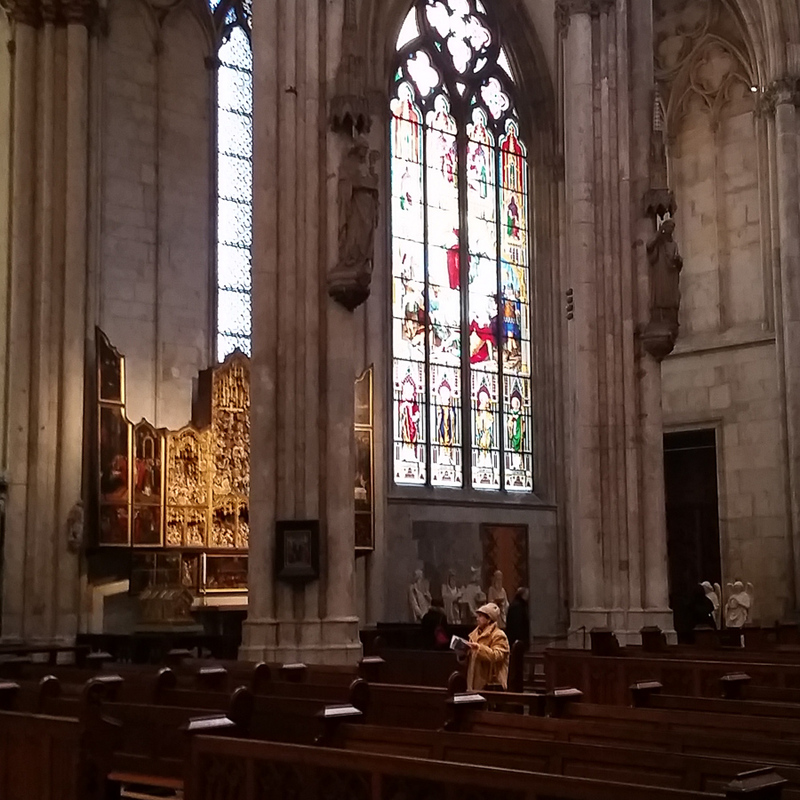 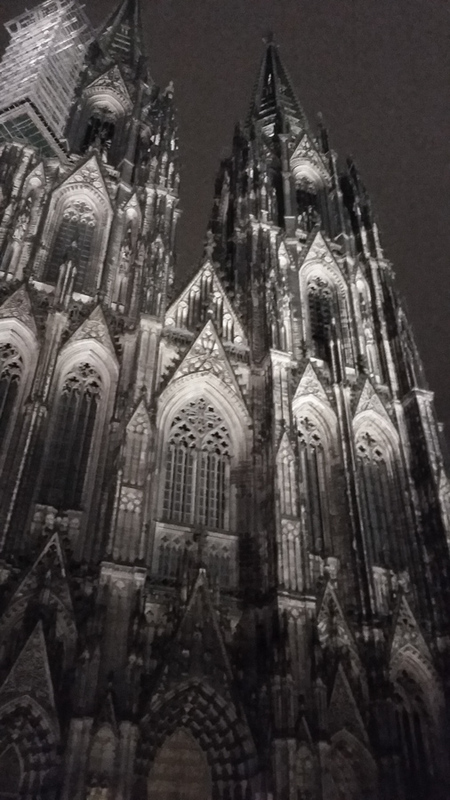 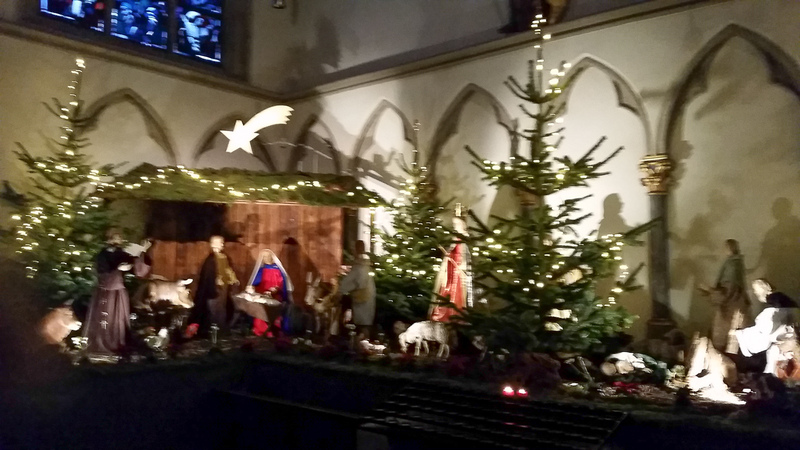 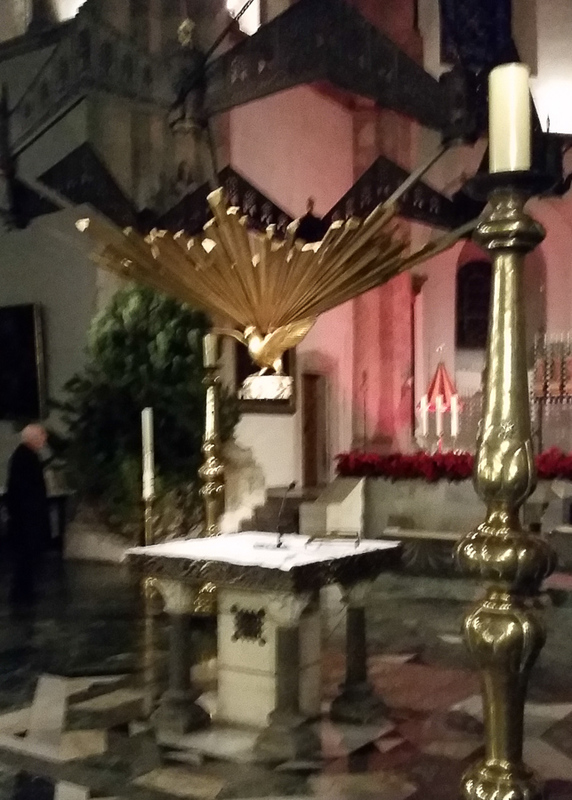 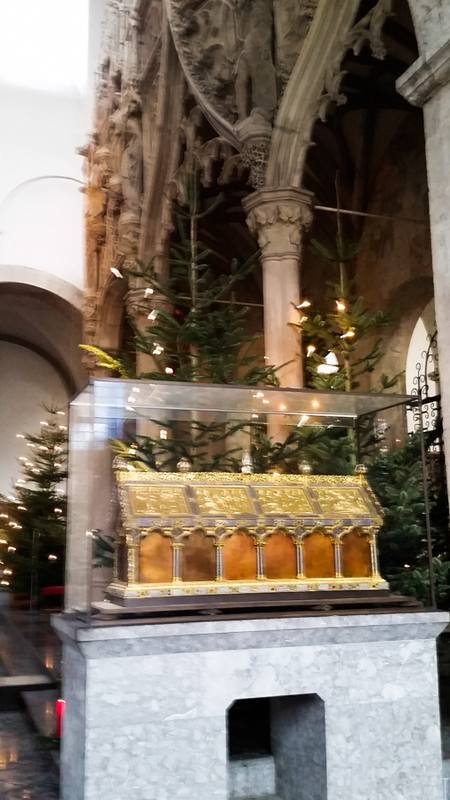 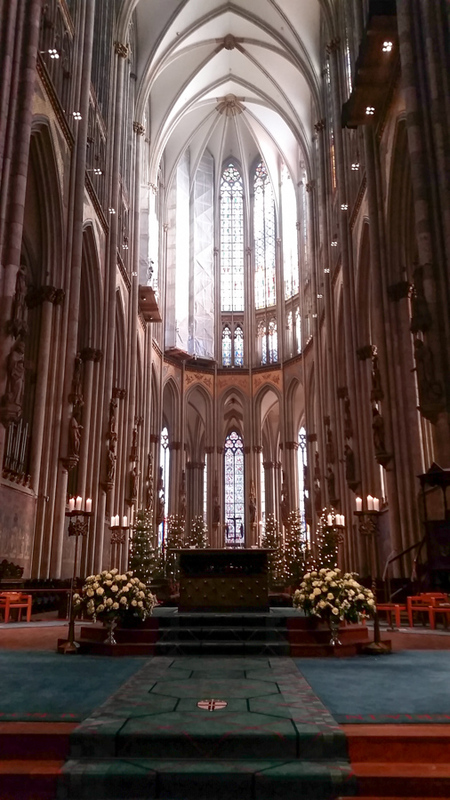 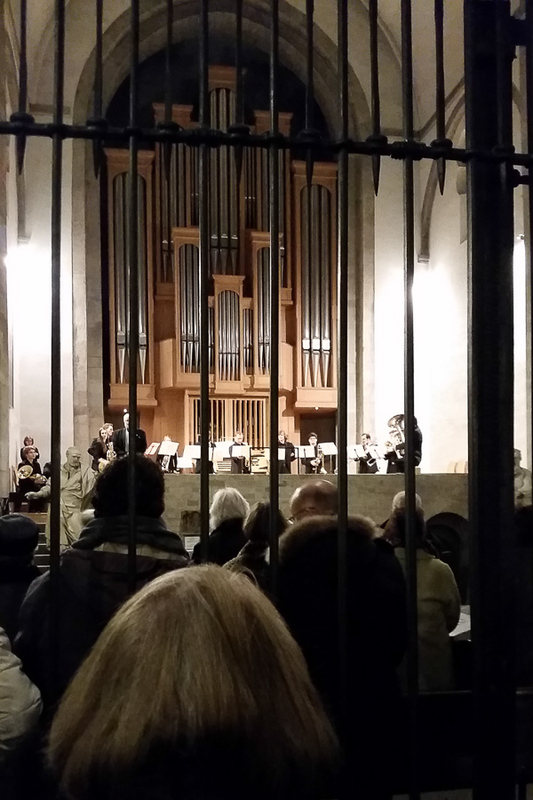 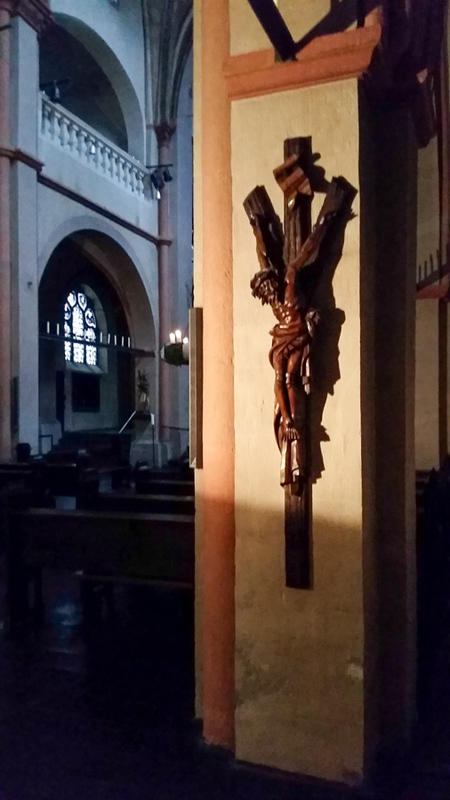 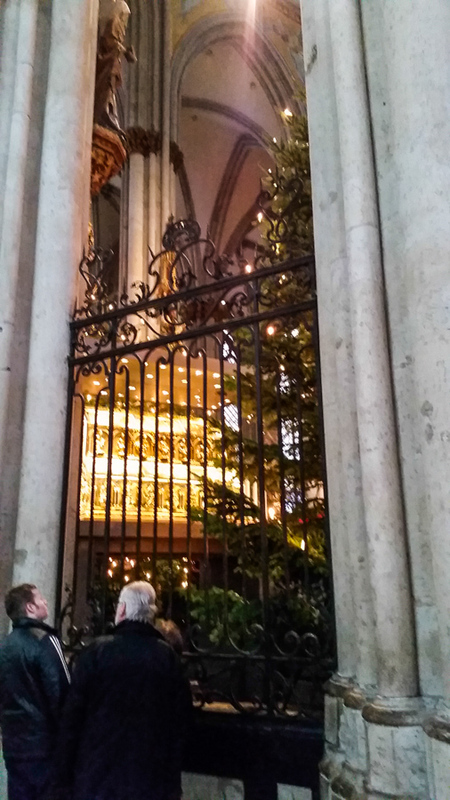 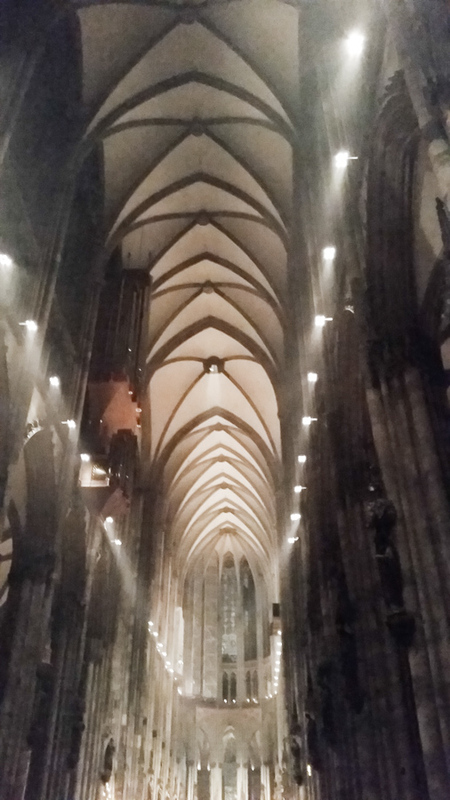 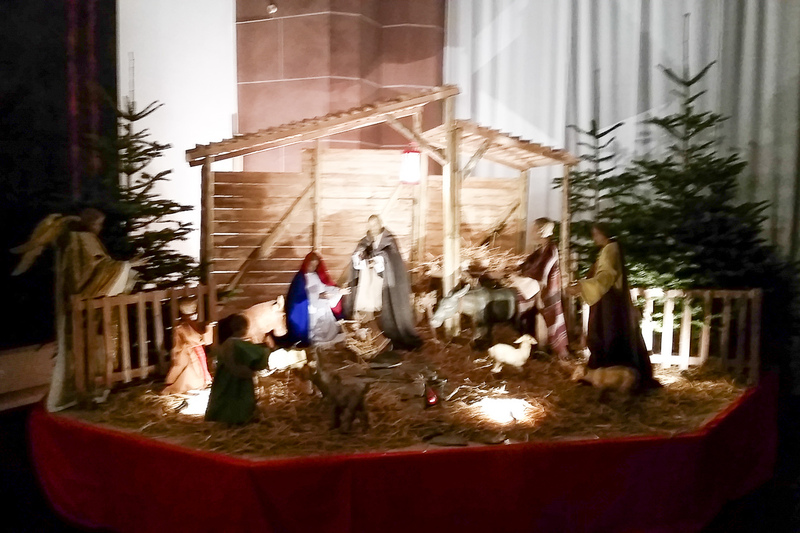 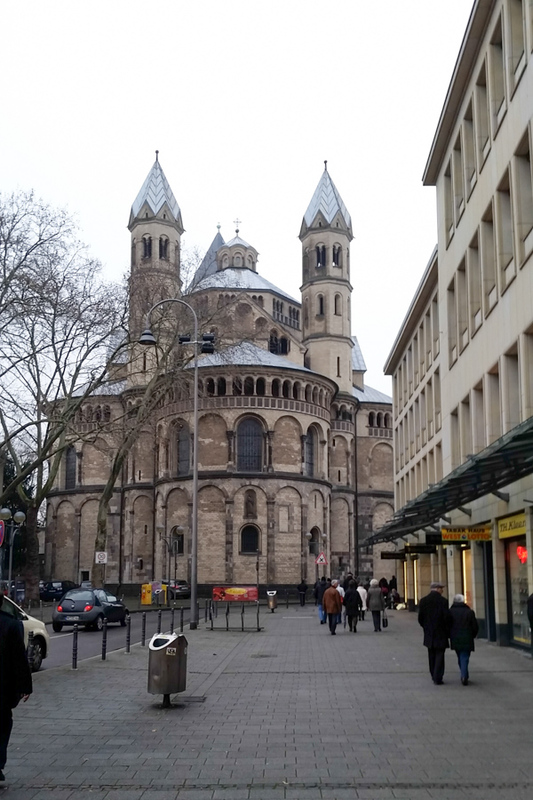 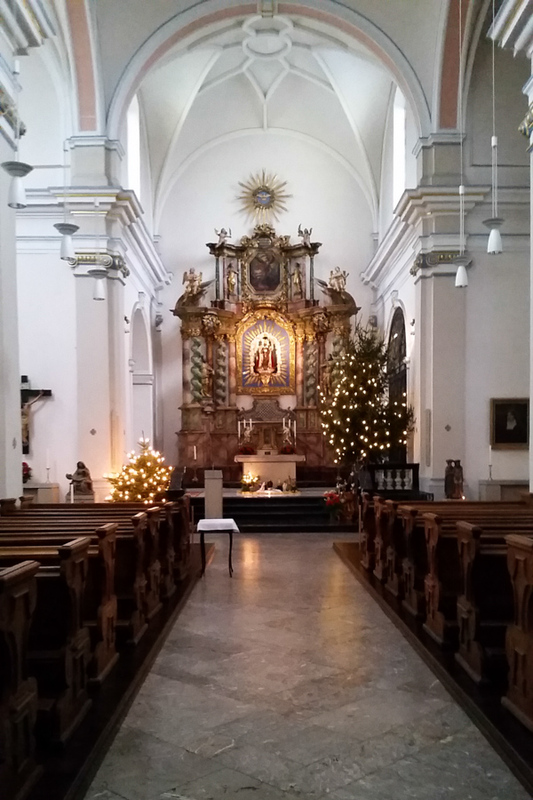 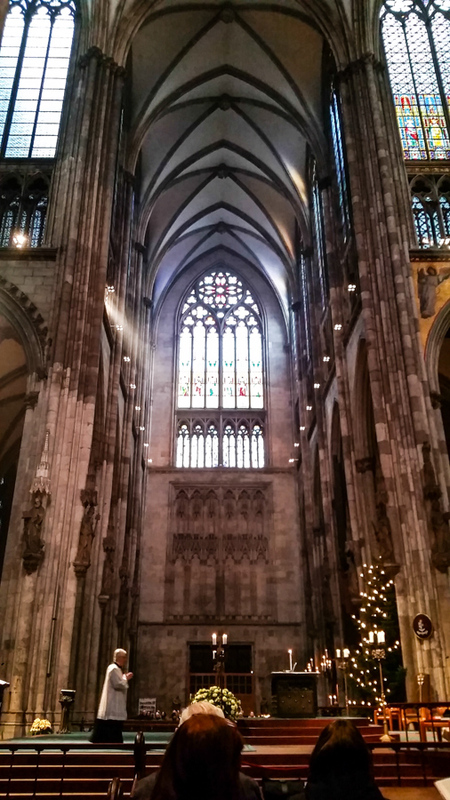 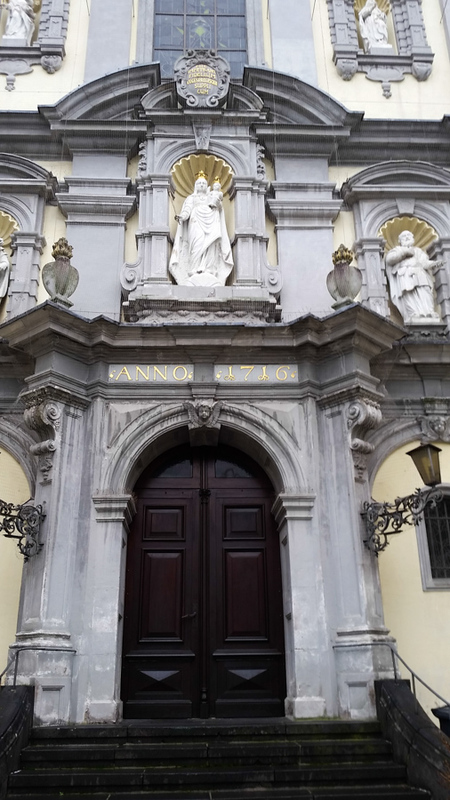 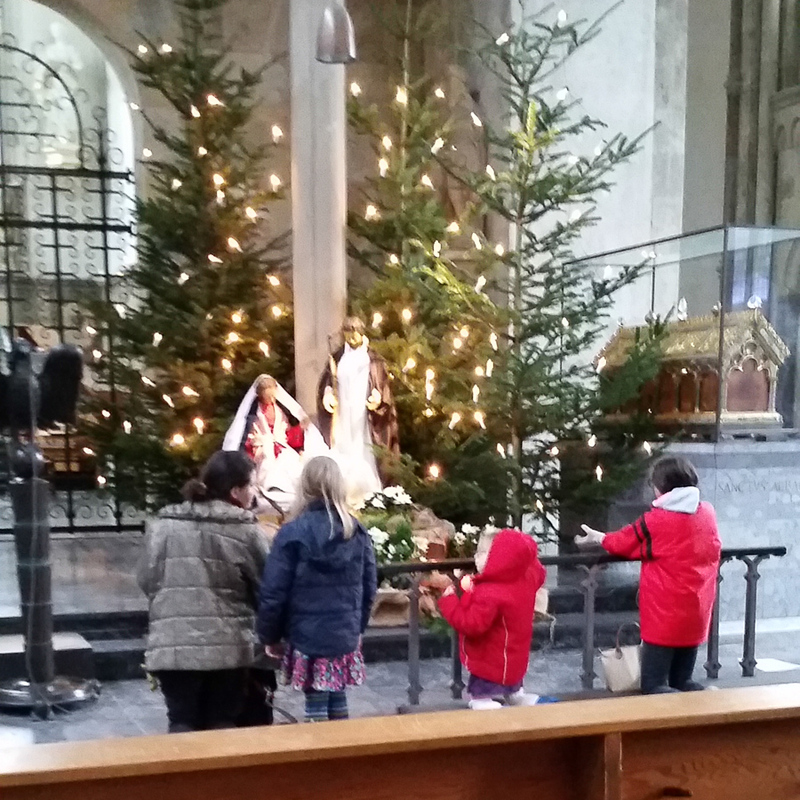 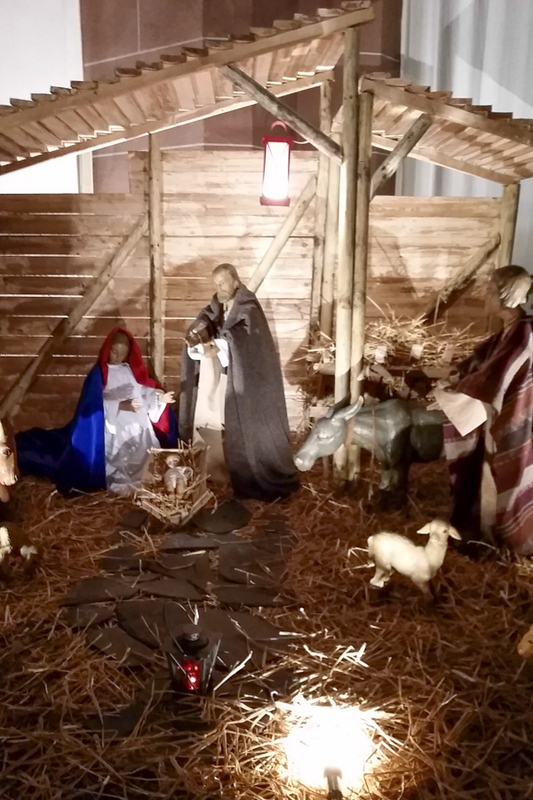 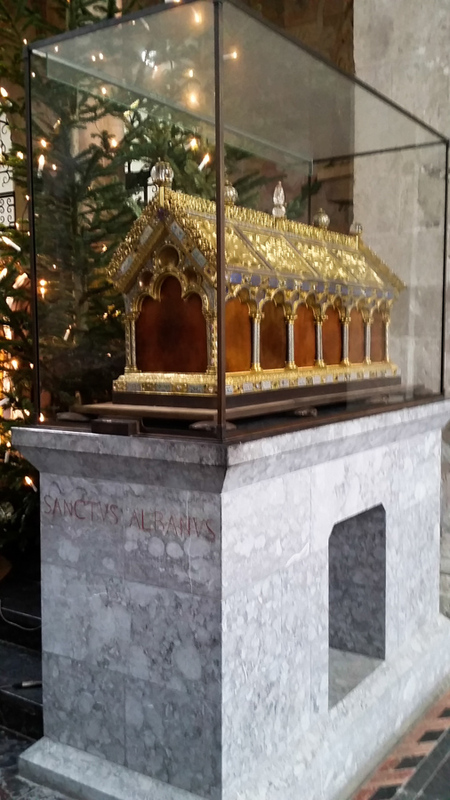 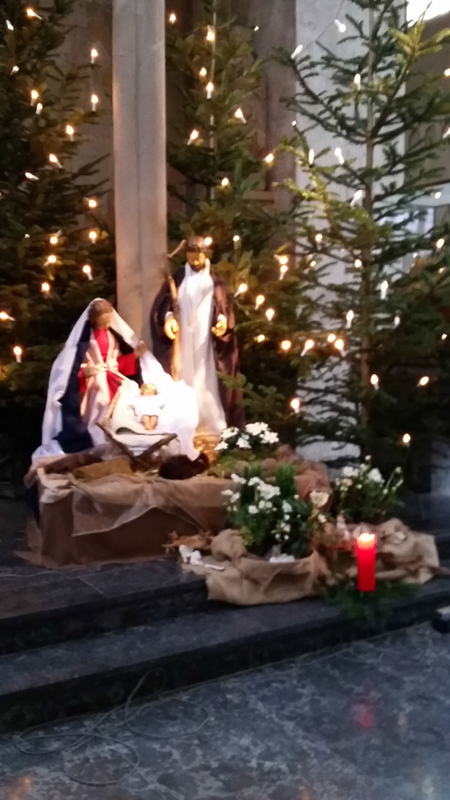 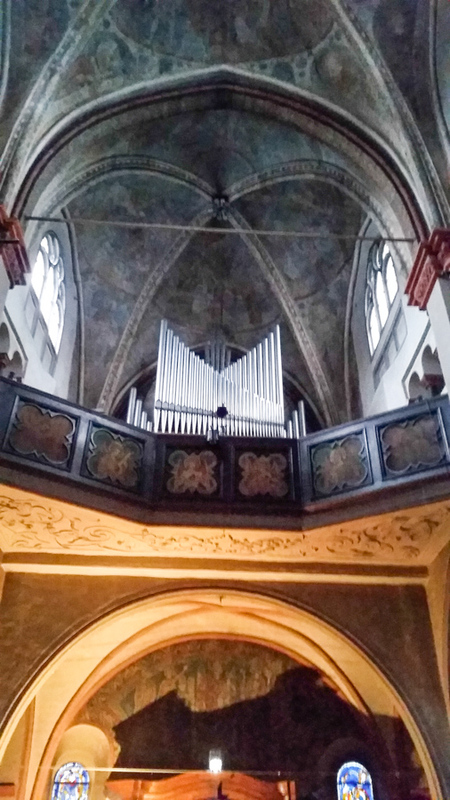 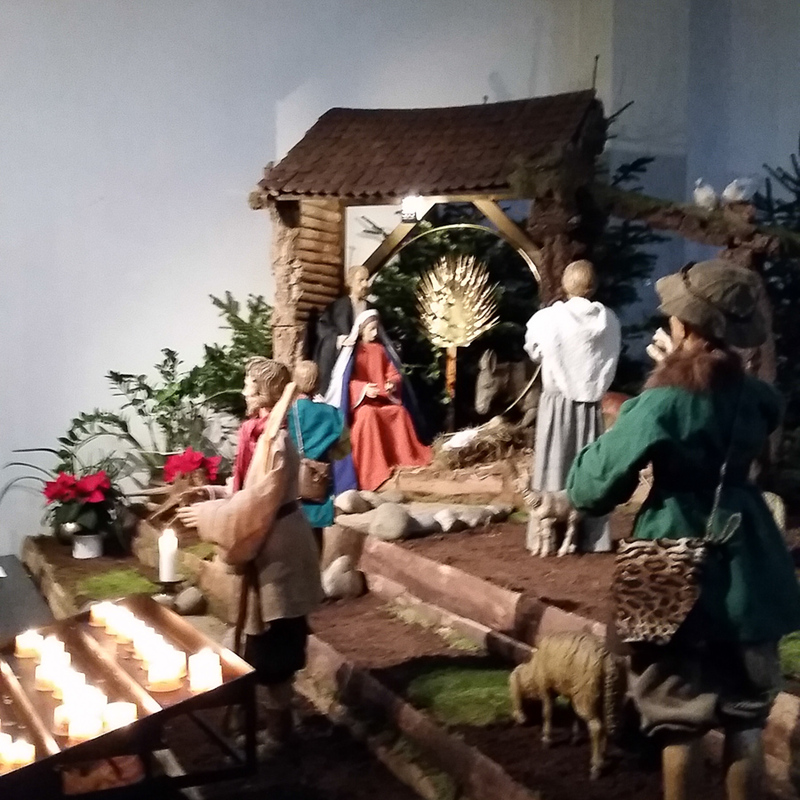 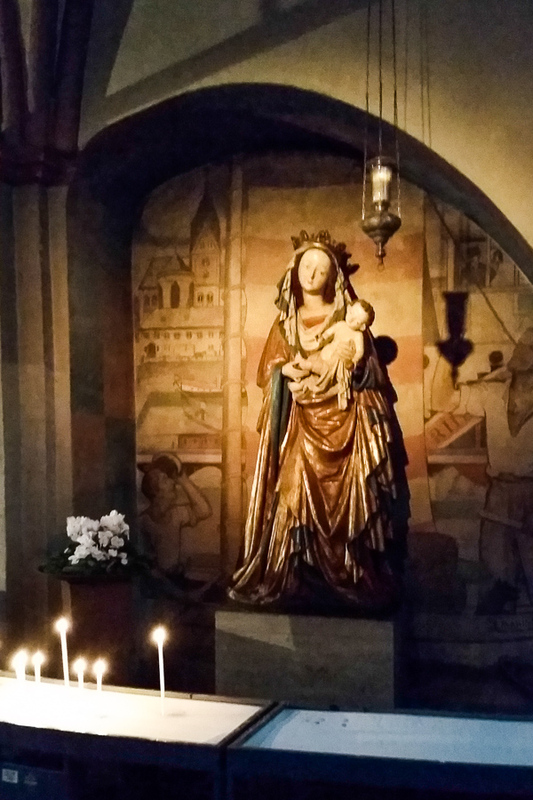 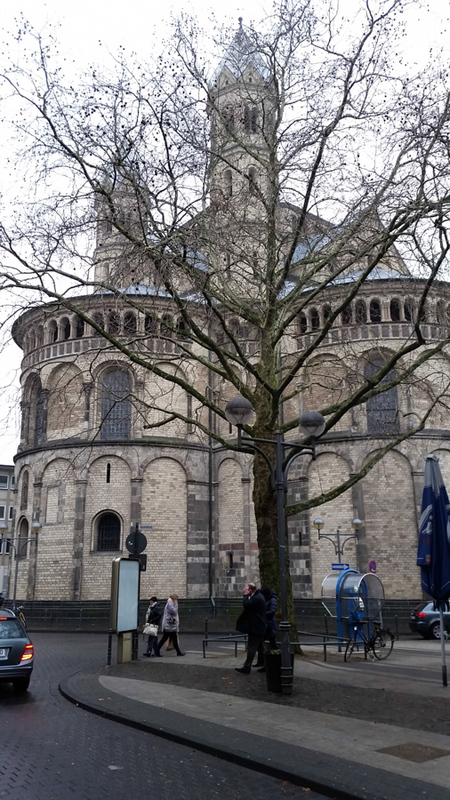 This entry was posted in Europe, Travel and tagged Cologne, O Magnum Mysterium, Saint Kunibert, Saint Maria Lyskirchen on December 26, 2015 by frjfkauffmann. 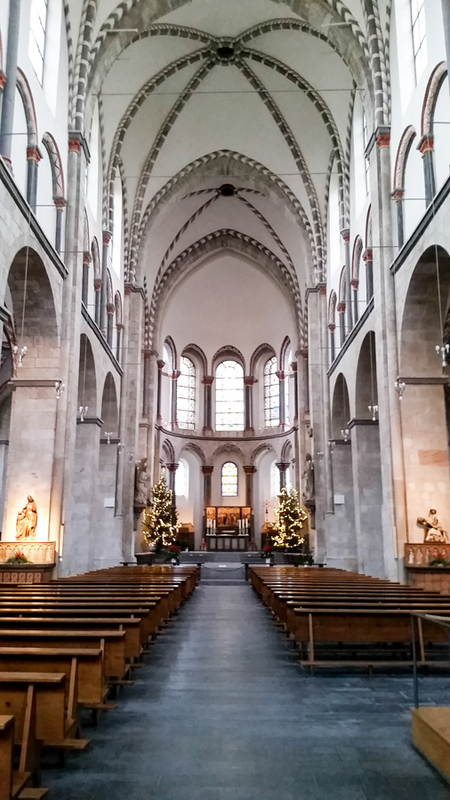 Saint Ursula is one of the 12 large Romanesque churches of the old city. 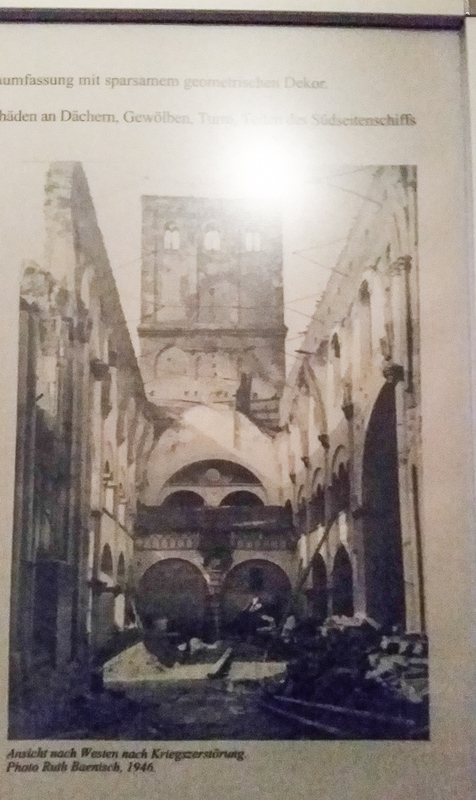 This church was also devastated in the bombing of the old city. 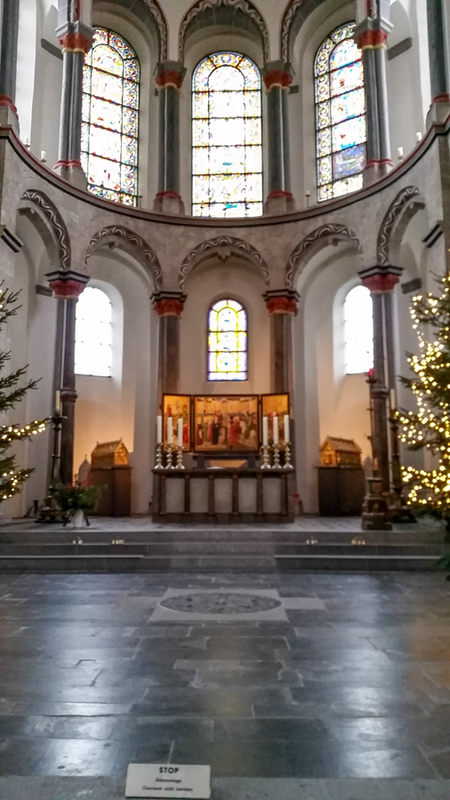 Notice the dome with a baroque crown. 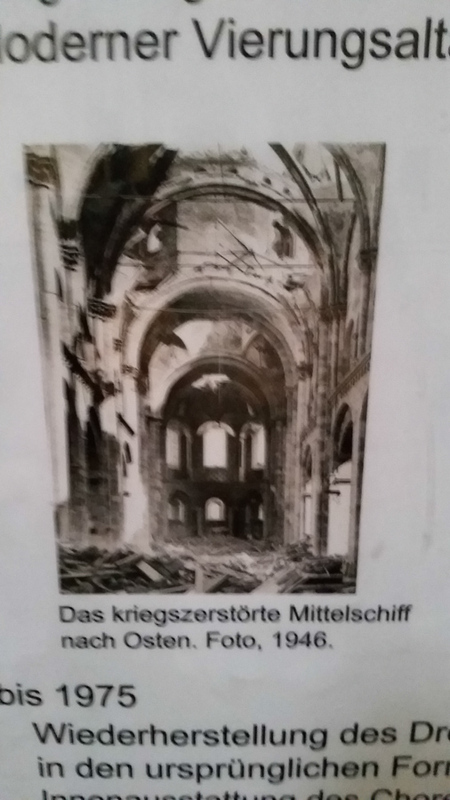 State of church after bombing the old historic center. 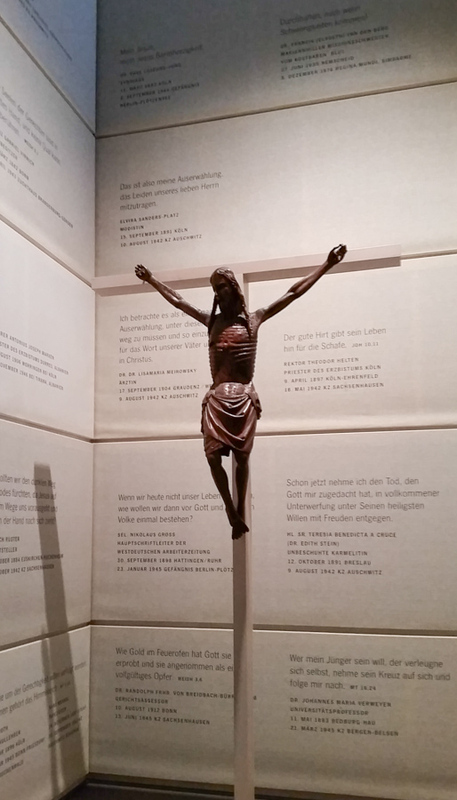 The devastation which led to reconstruction also revealed through excavation a fourth century church and a grave stone for a young girl named Ursula. 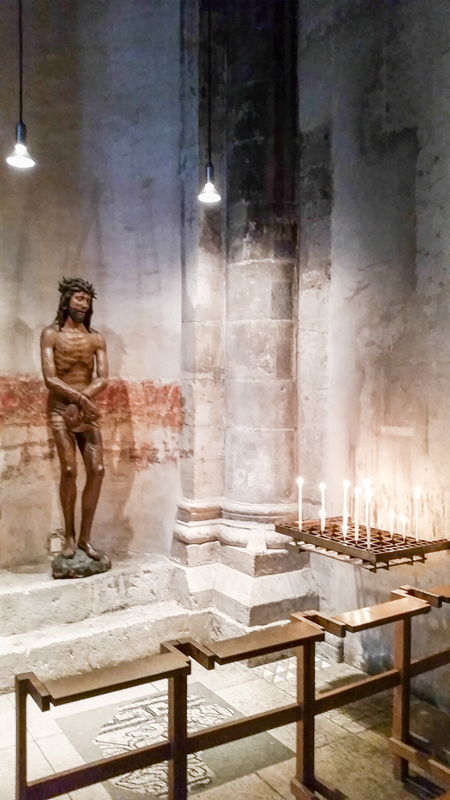 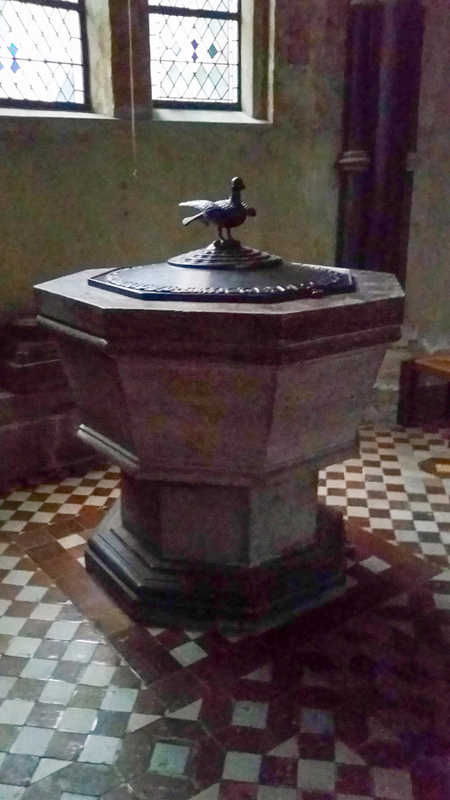 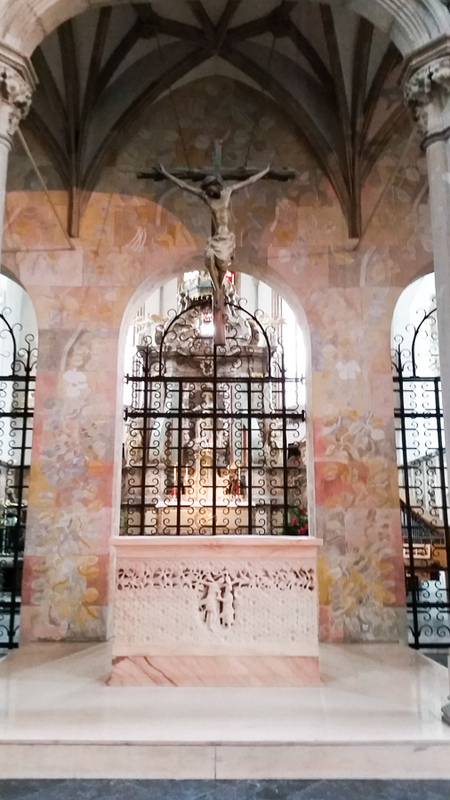 The apse of Ursula church with relics. 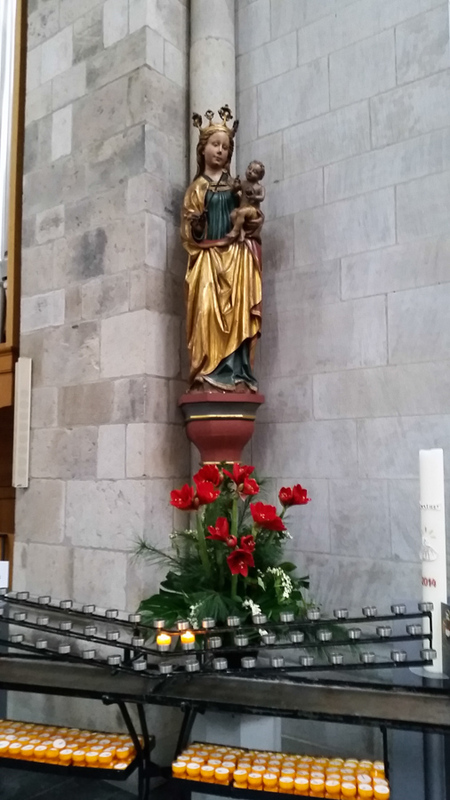 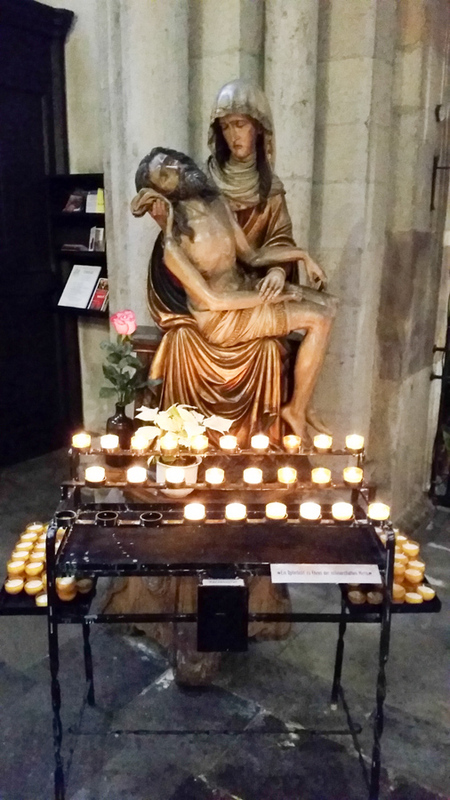 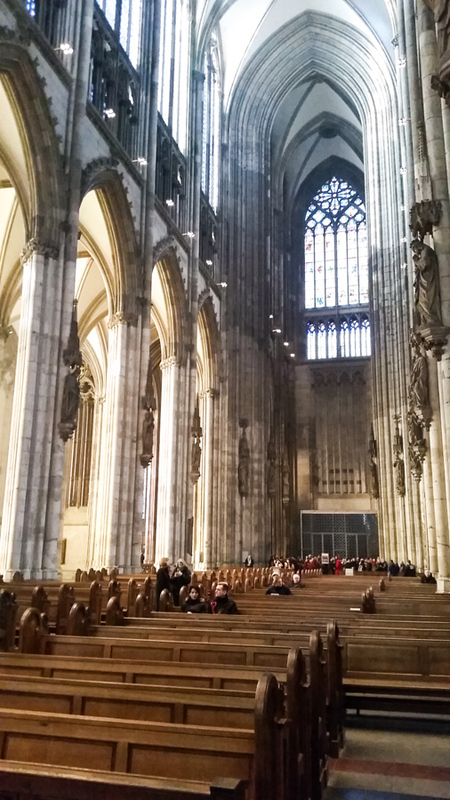 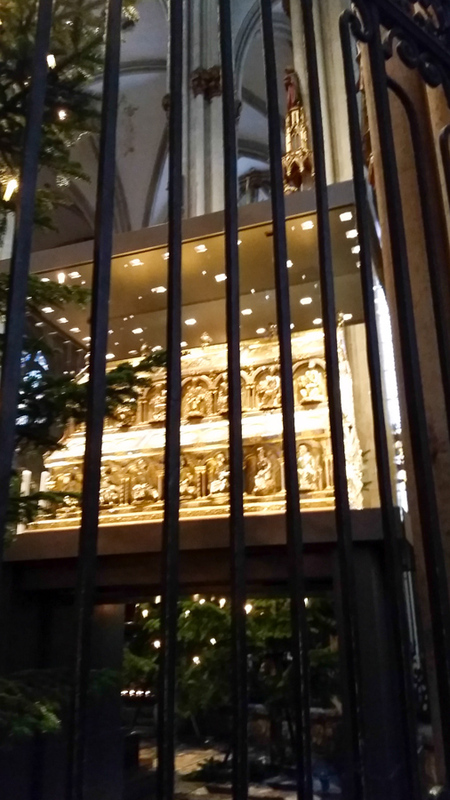 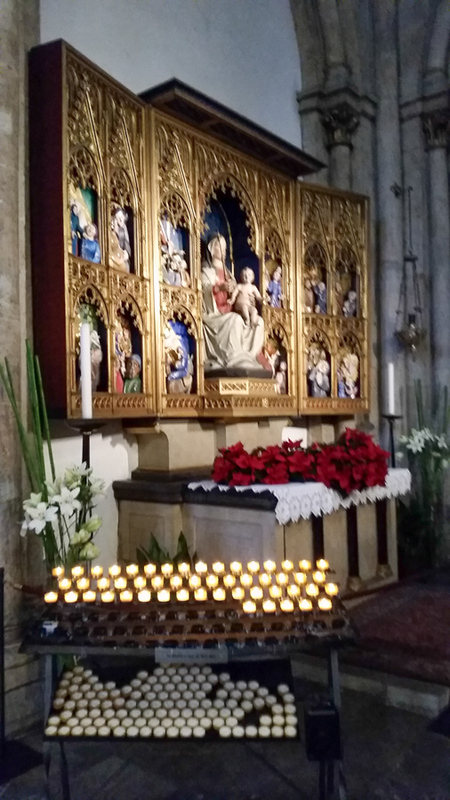 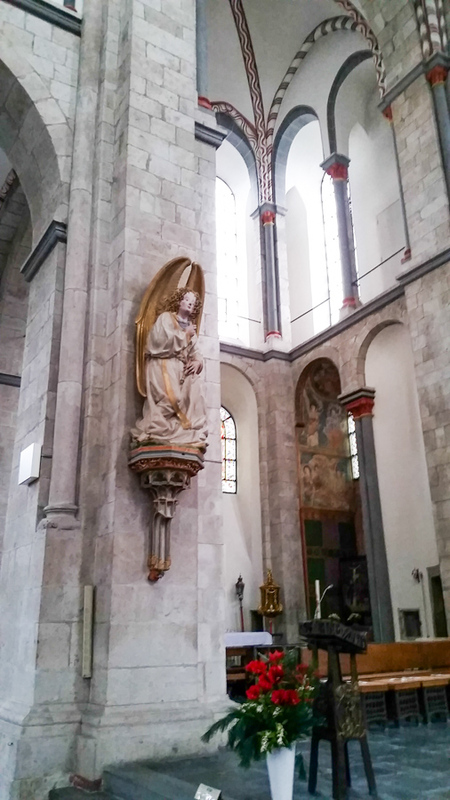 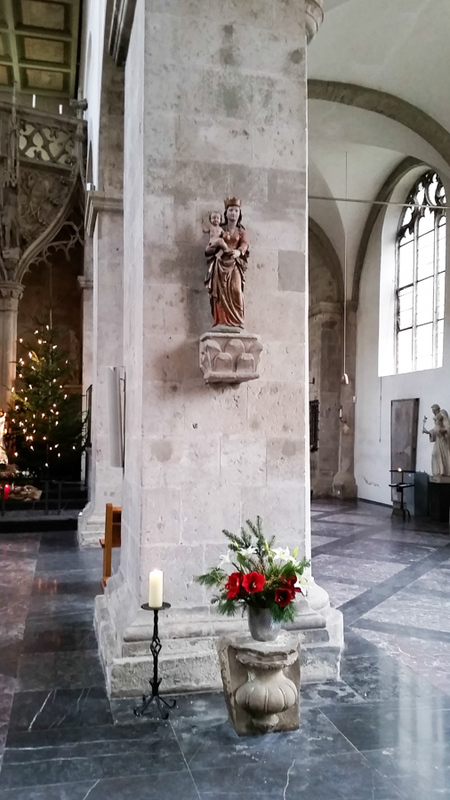 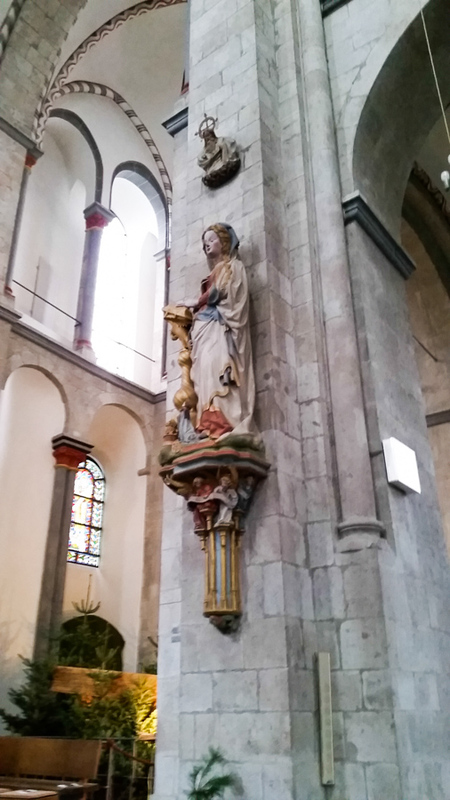 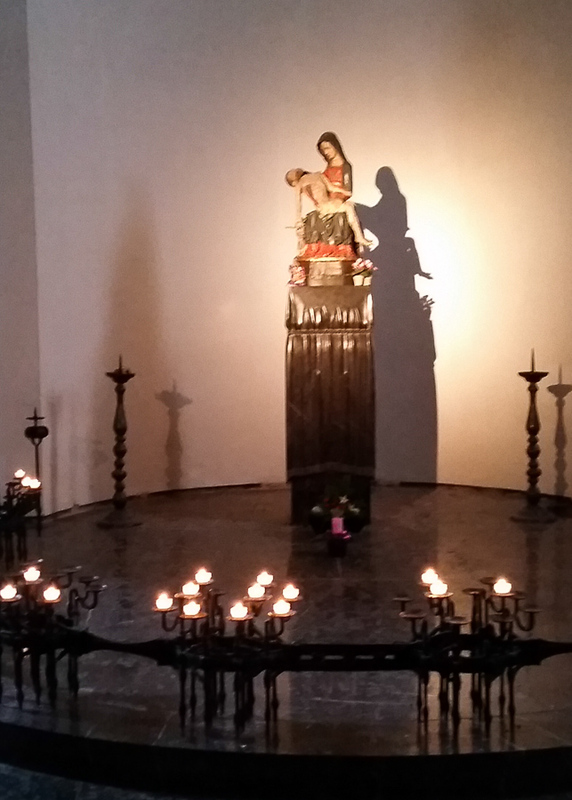 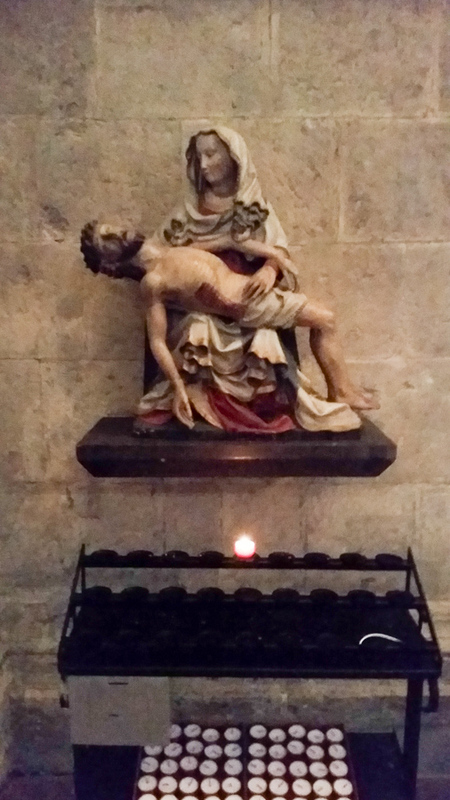 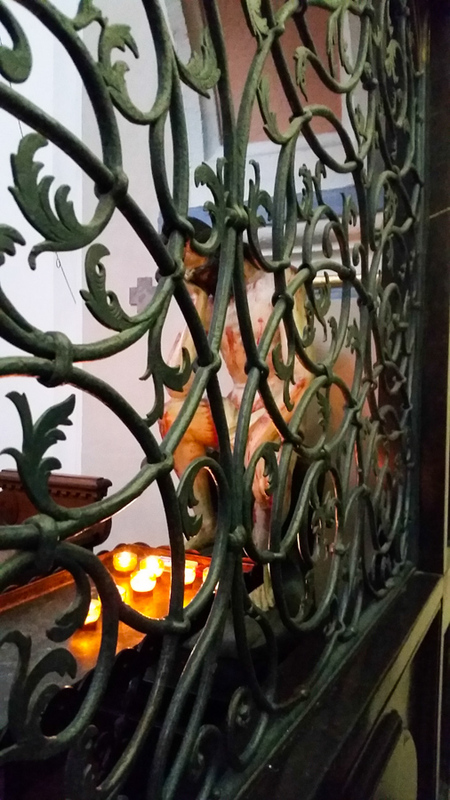 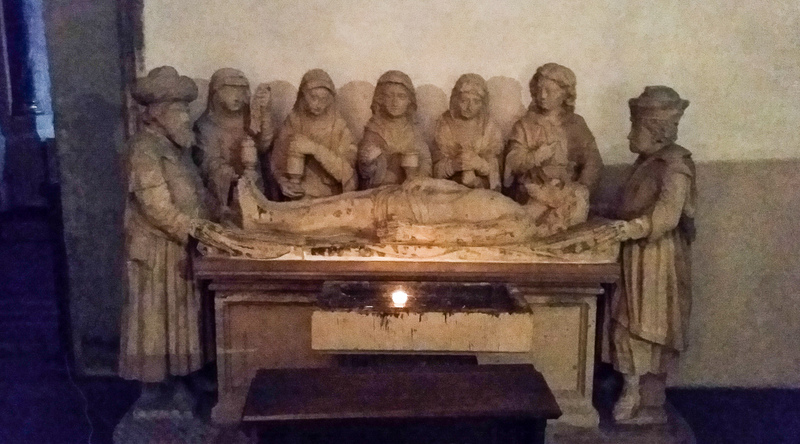 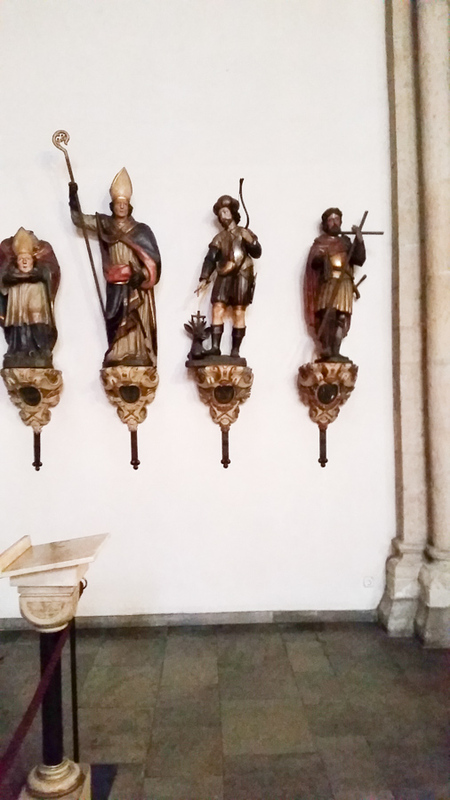 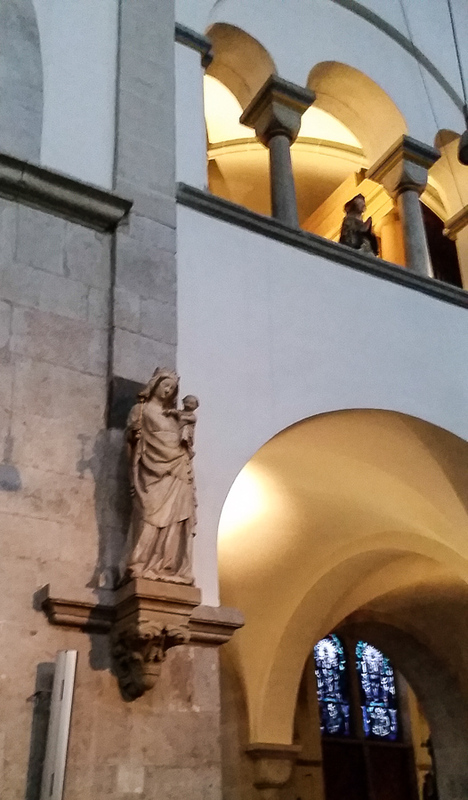 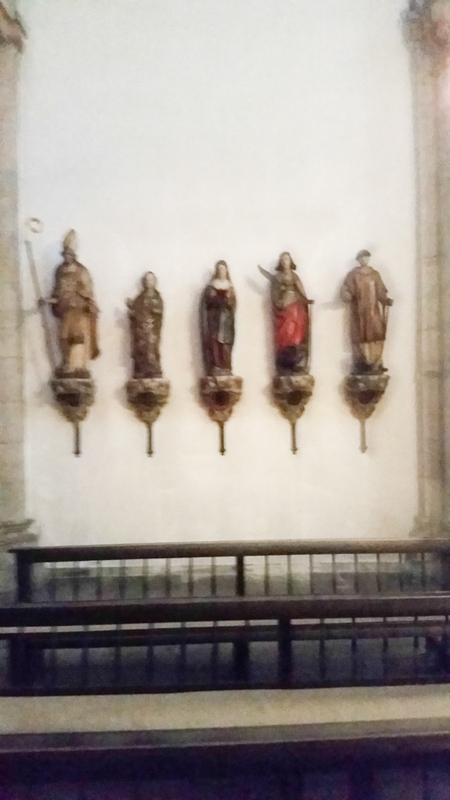 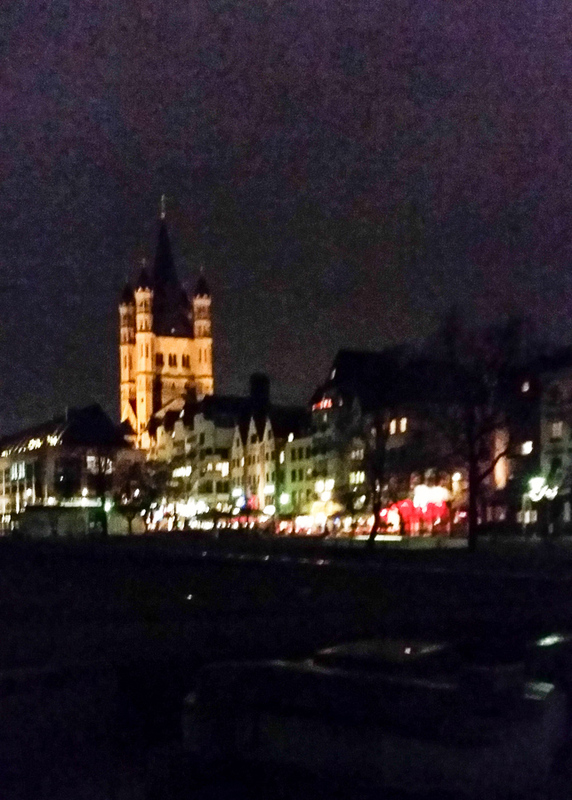 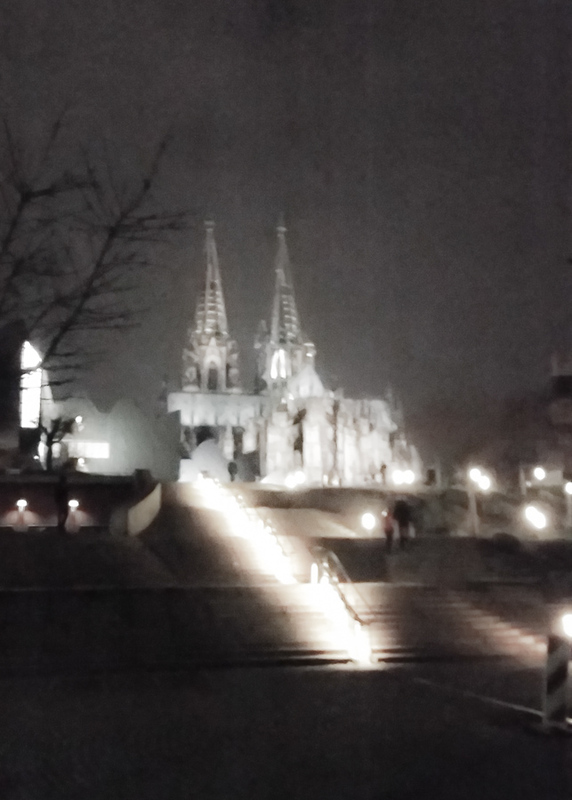 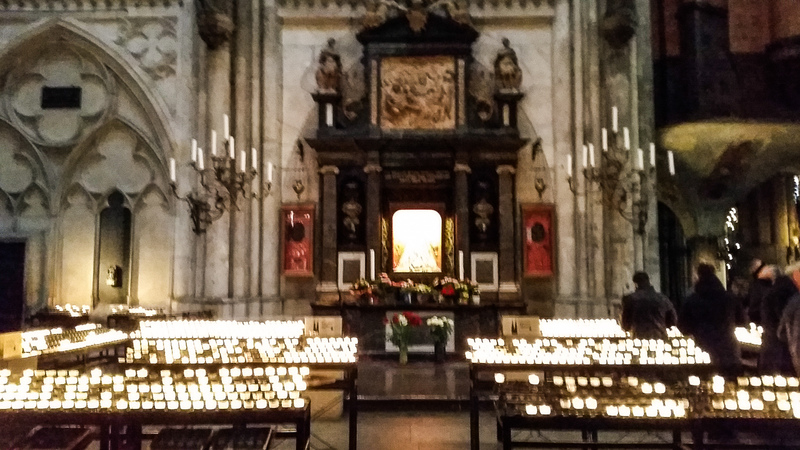 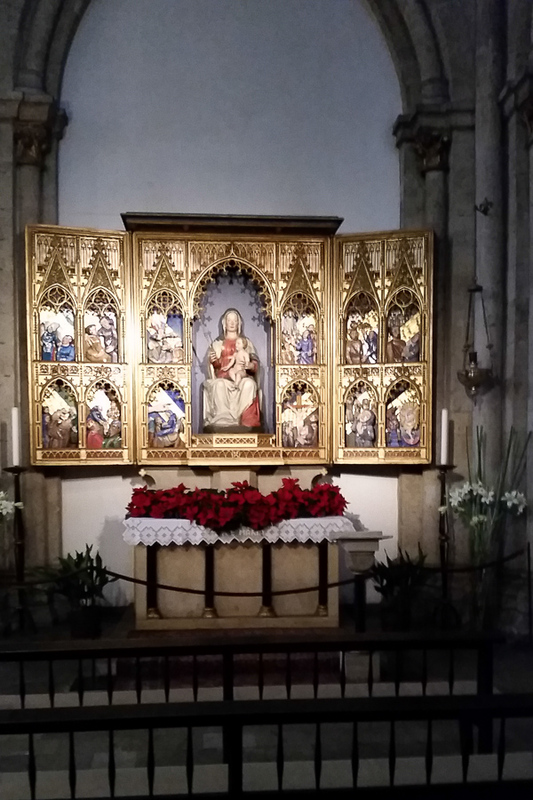 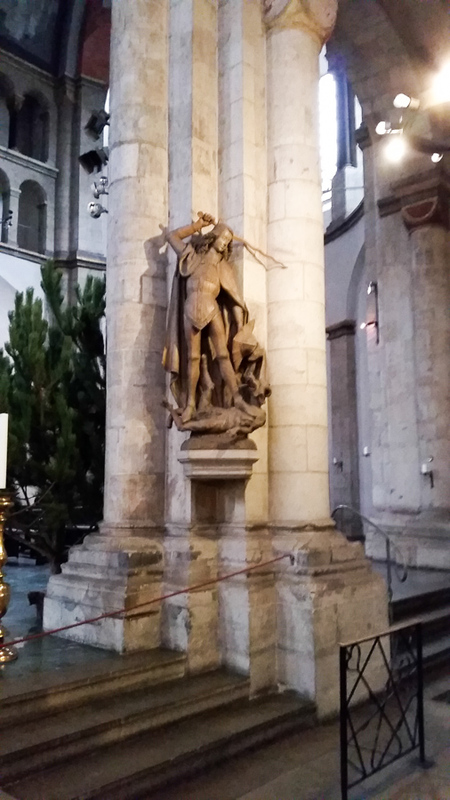 The story of Saint Ursula and the virgin martyrs has always been beloved by the people of Cologne. 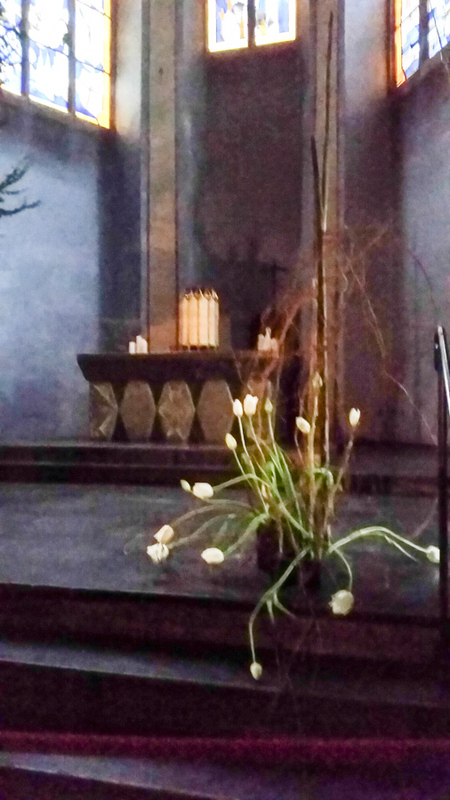 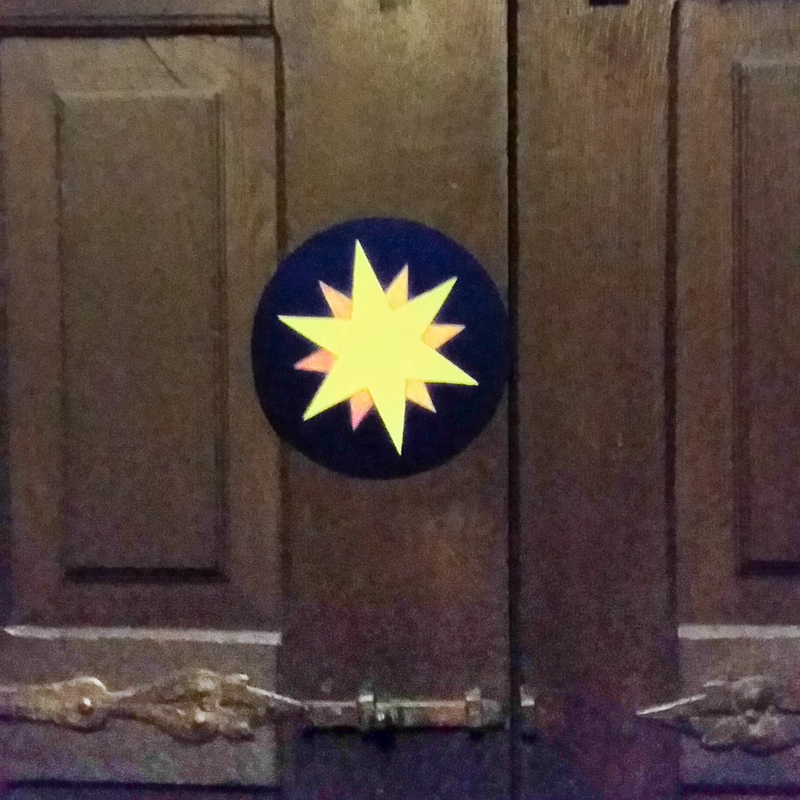 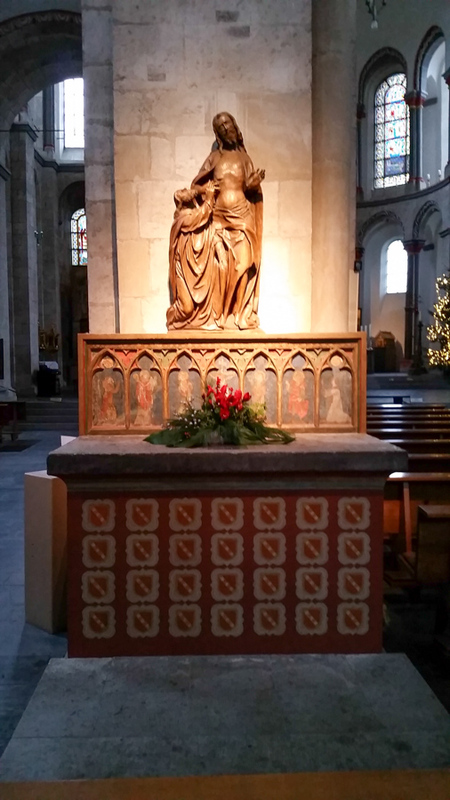 It is fitting that between 2003 and 2005 a memorial chapel was constructed in the church to remember the Cologne martyrs of the present lest we forget the powerful witness of many who resisted the evil of the Nazi regime and were murdered. 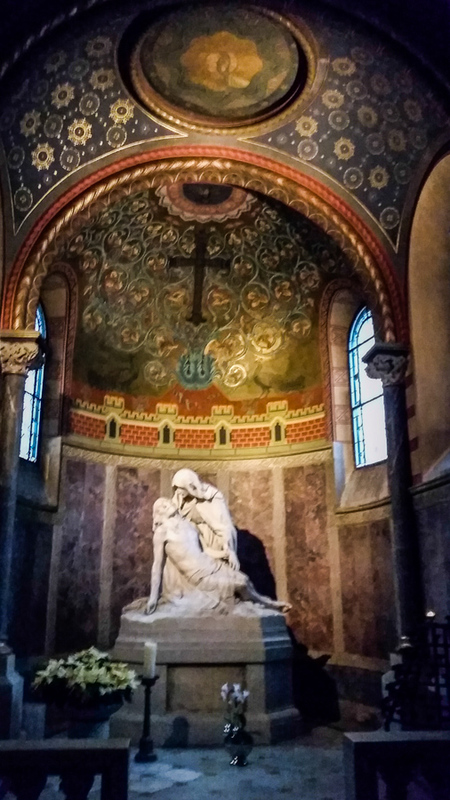 Their names are inscribed in a long list of those who from the beginning of Christianity have resisted evil. 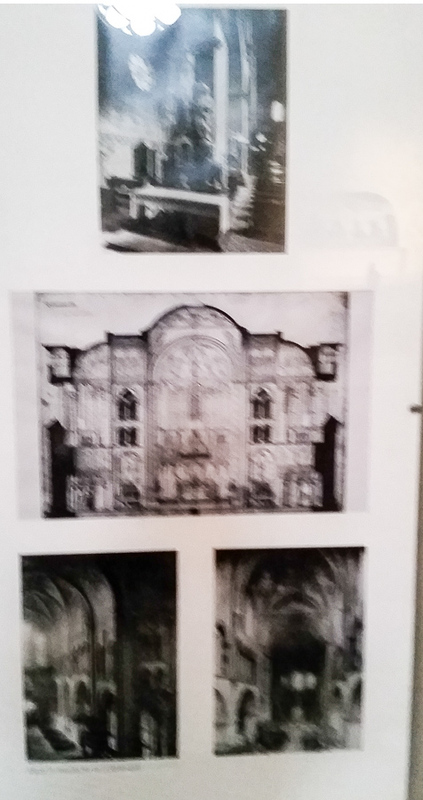 The chapel was awarded the Arthron Art Award. 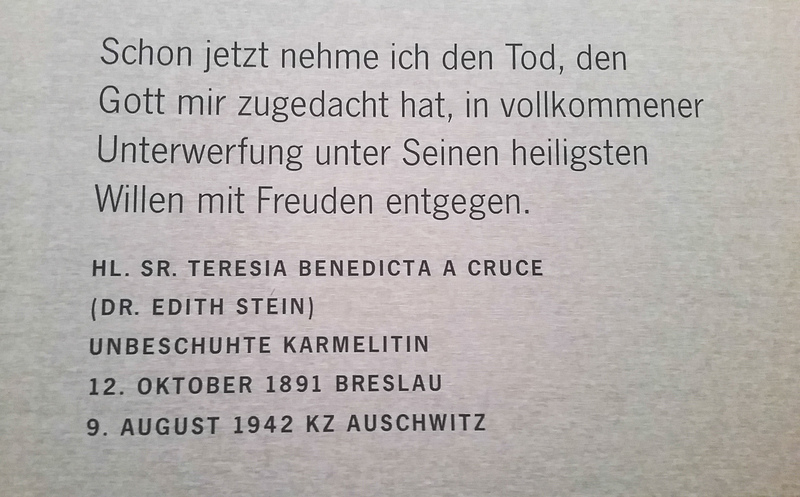 Memorial to Saint Dr Edith Stein who was taken from the convent in Cologne to the concentration camp. 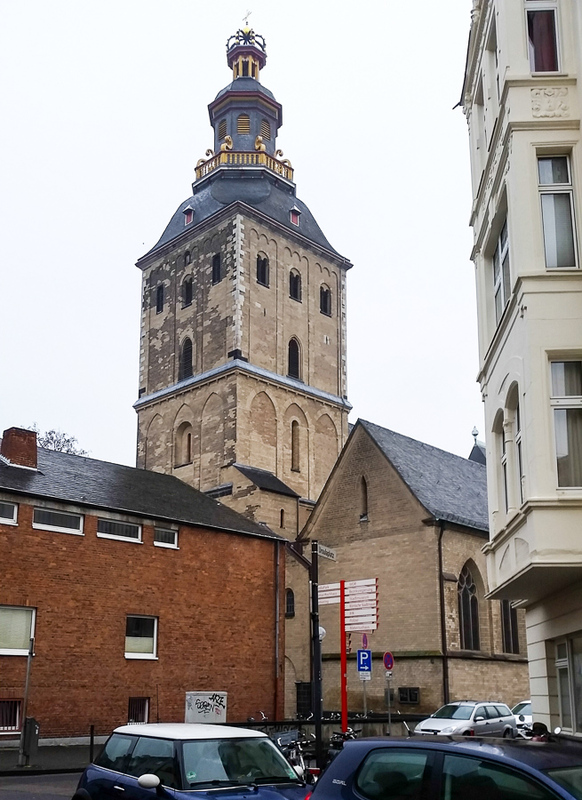 In the 5th and 6th century this church was called the Golden Saints. 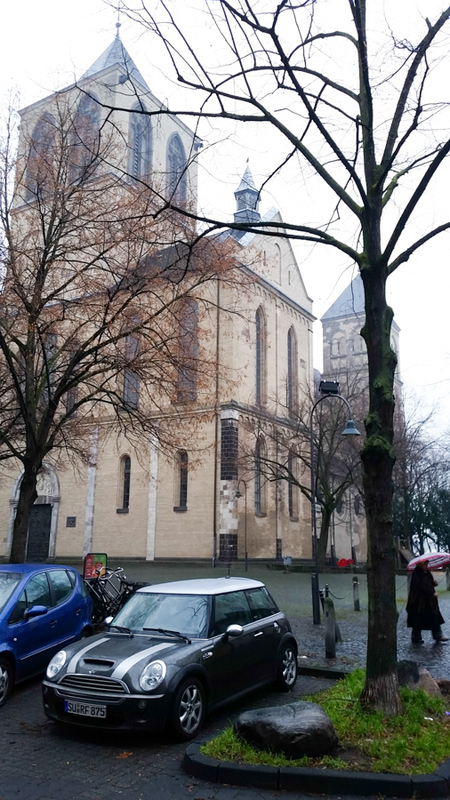 It is a fine example of late antique and high medieval architecture. 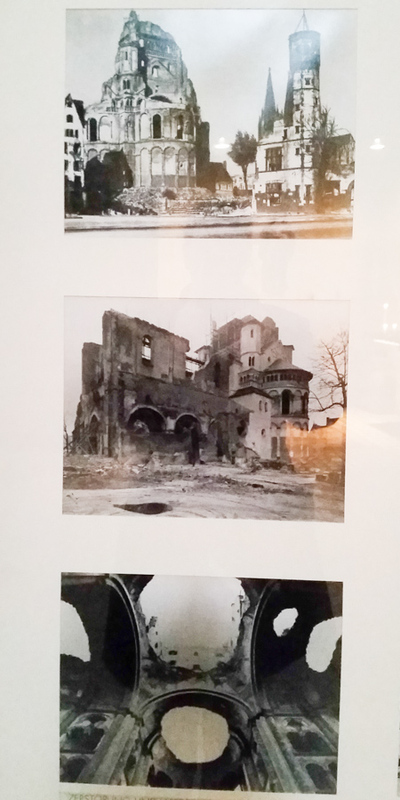 It sustained heavy damage during the bombing of the old historic center during the war. 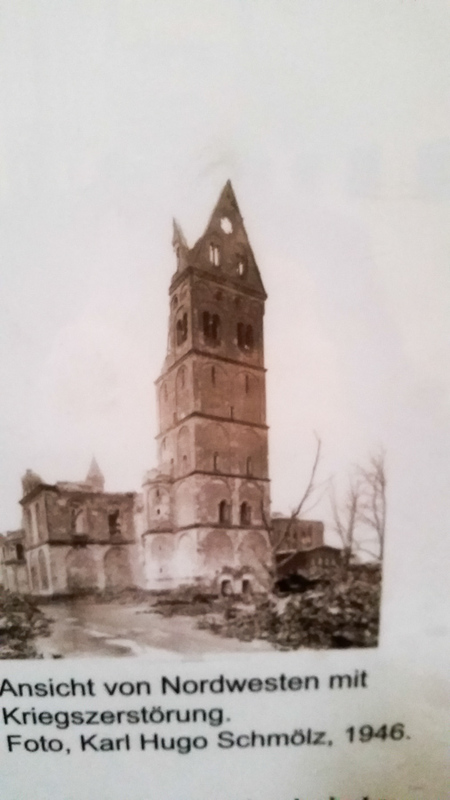 Structural work was ongoing on the church on into 1968 to rescue the structure from collapse and reconstruction continued until 1984 to preserve this treasure of the Catholic faith. 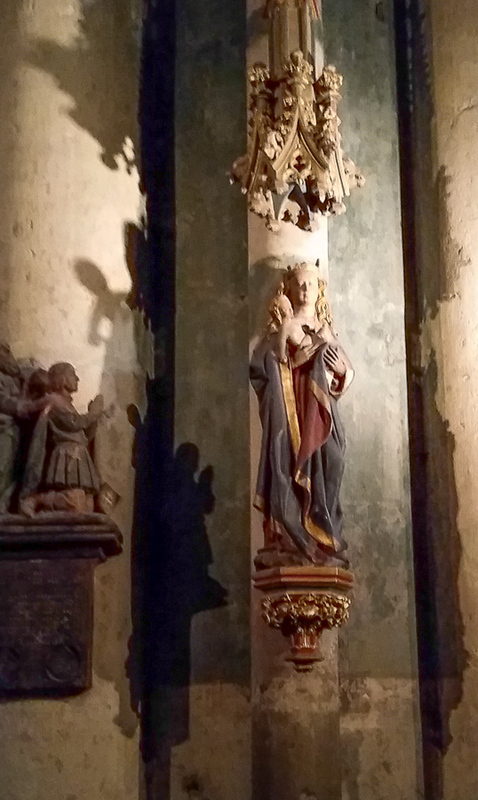 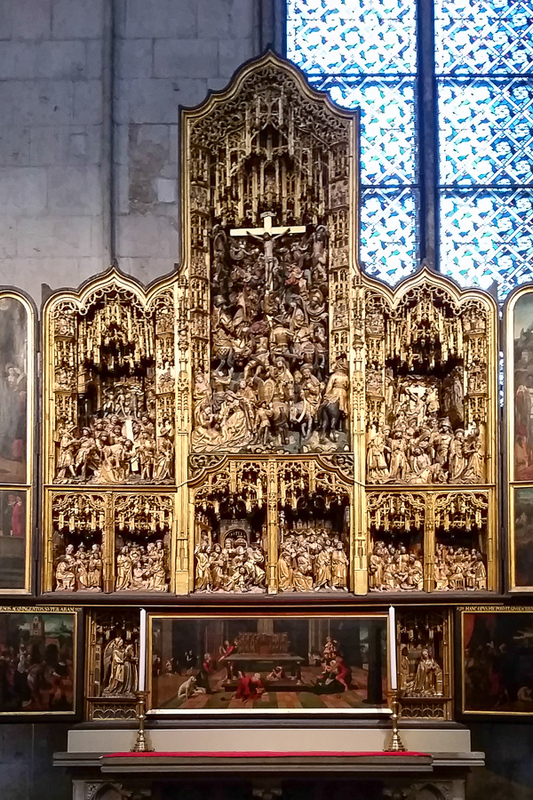 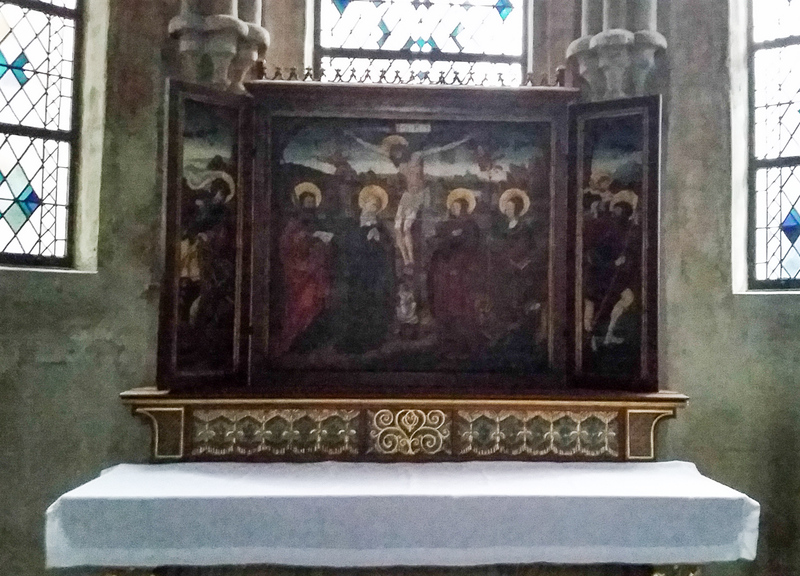 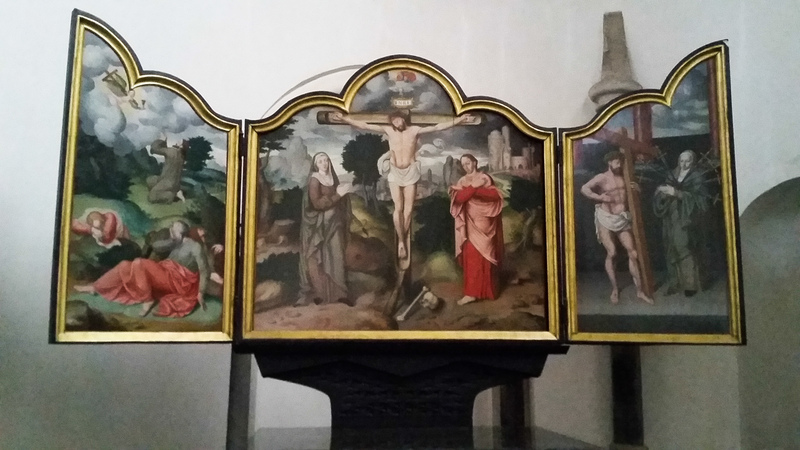 This article is in German but discusses the art in Saint Gereon. 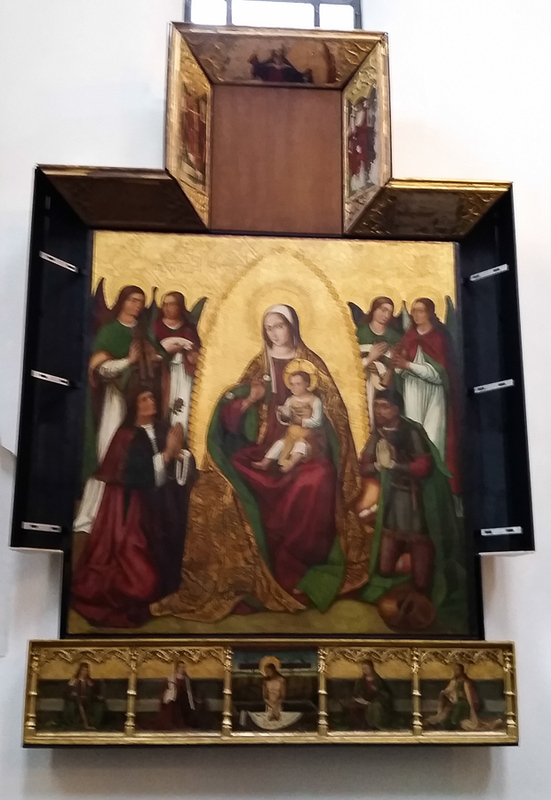 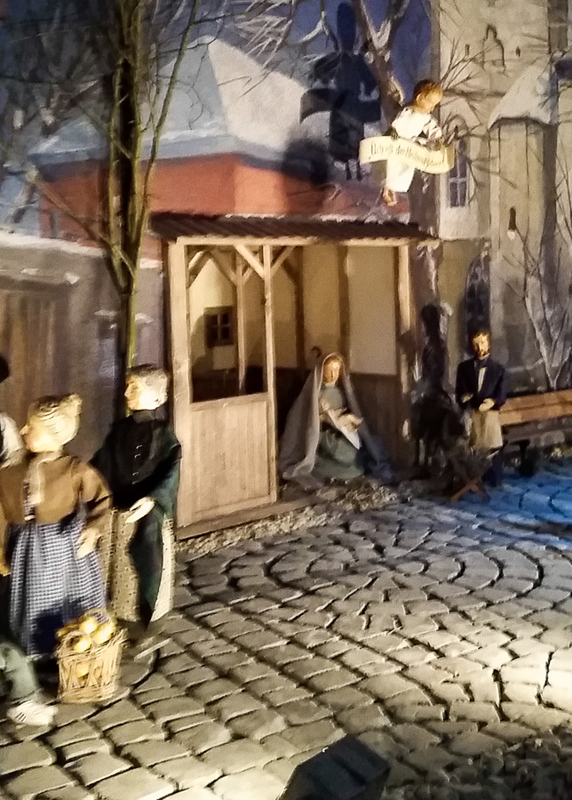 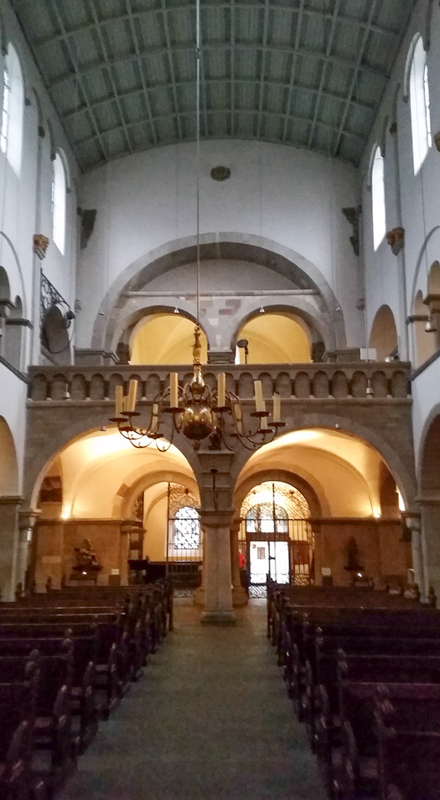 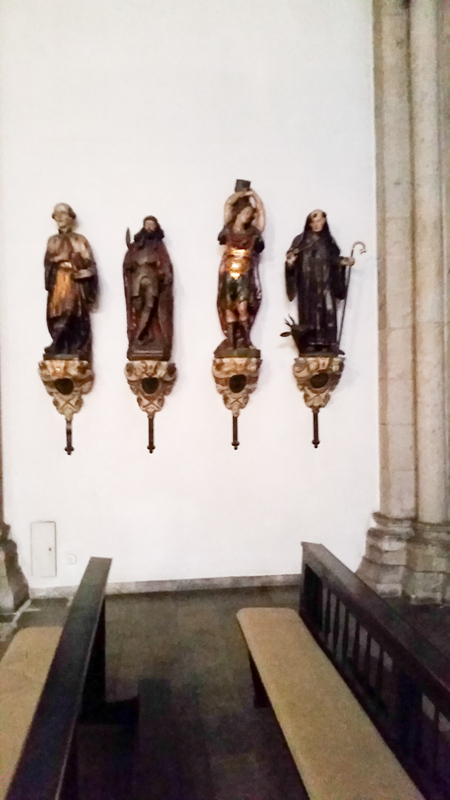 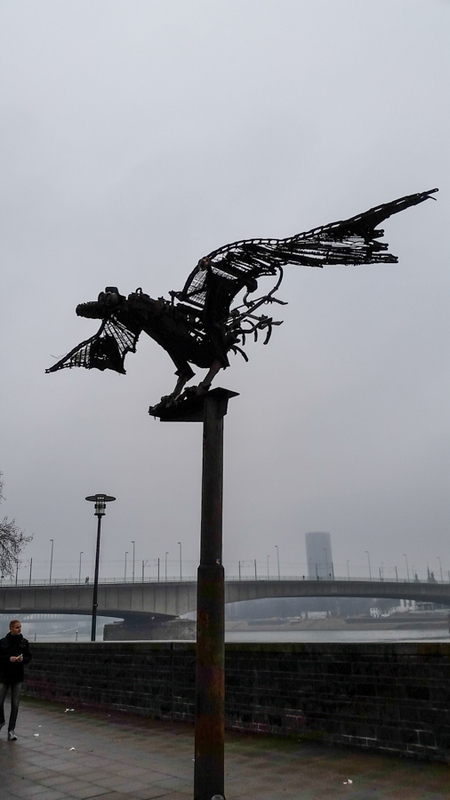 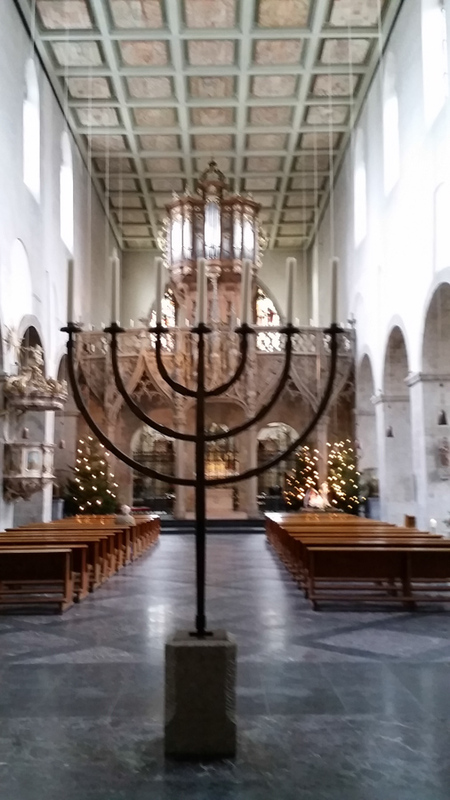 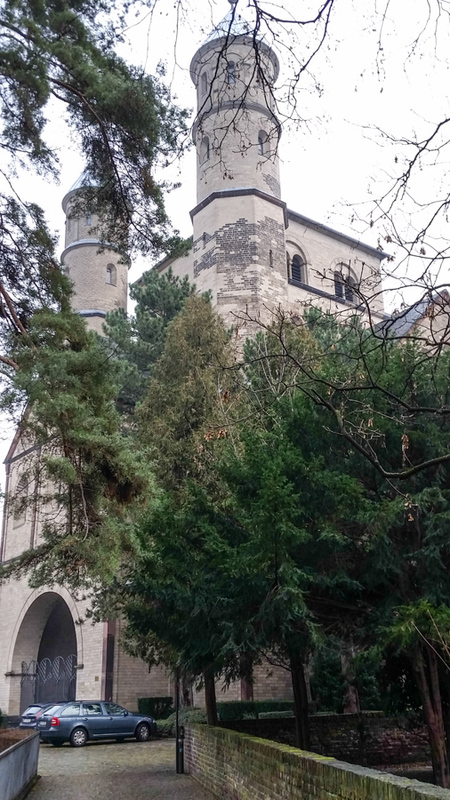 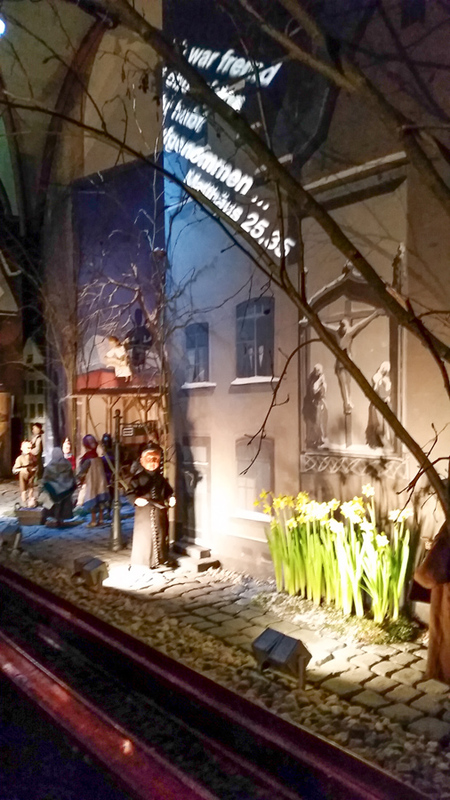 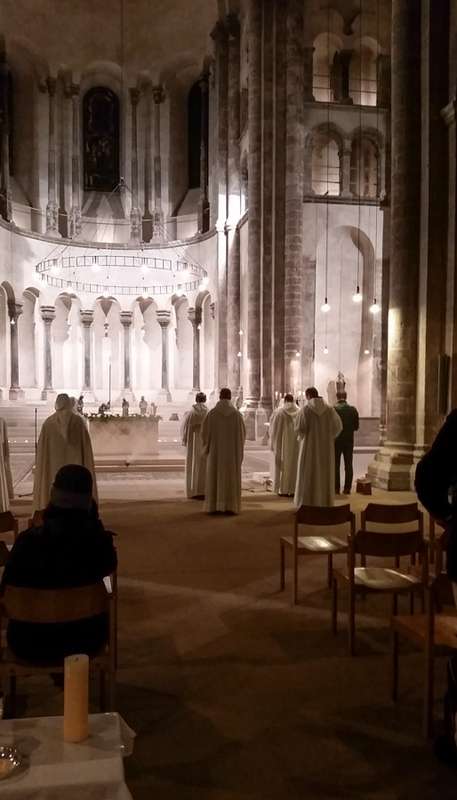 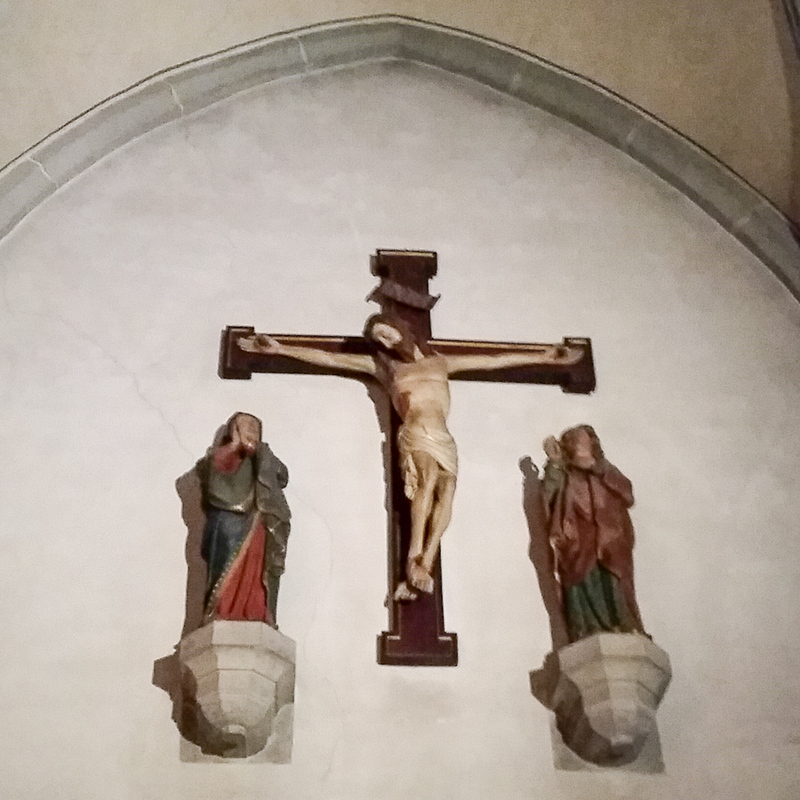 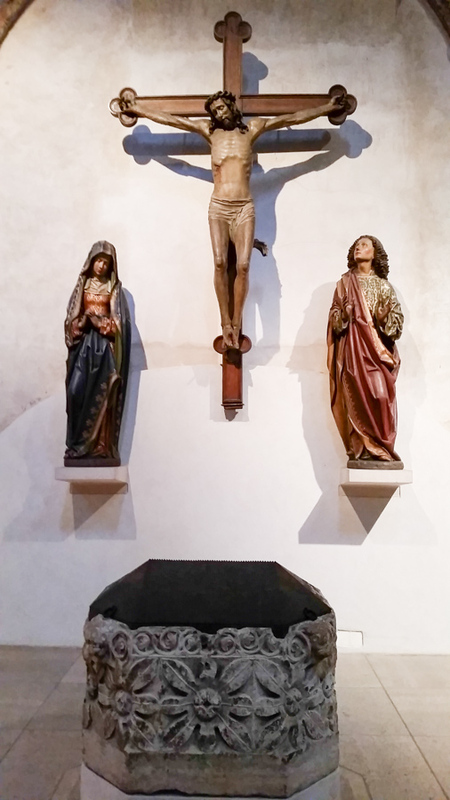 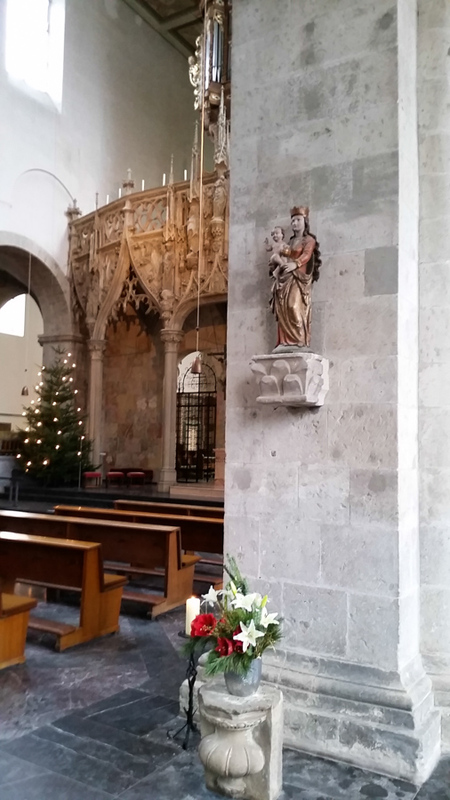 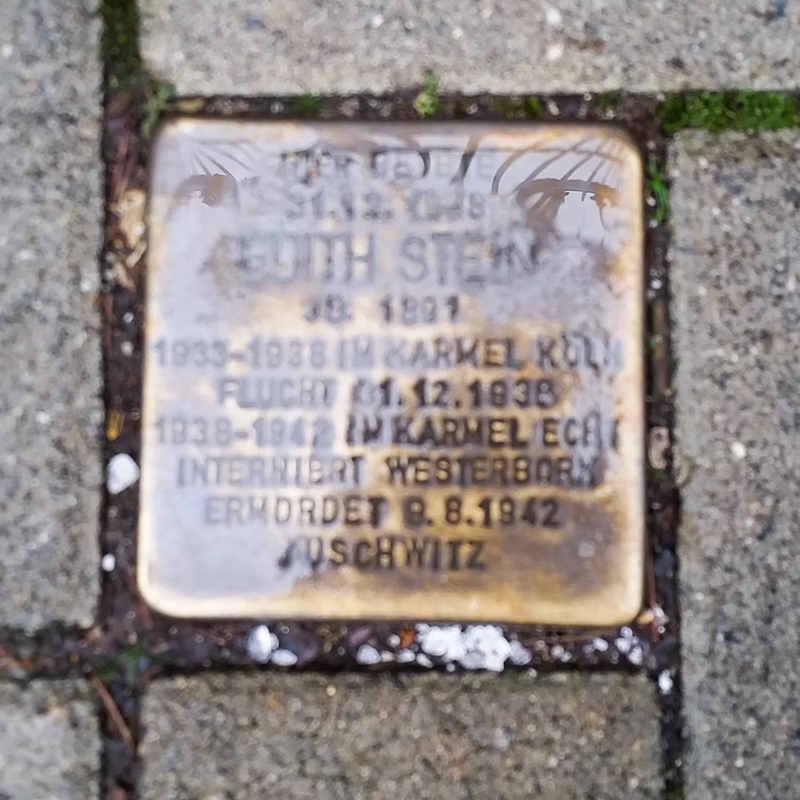 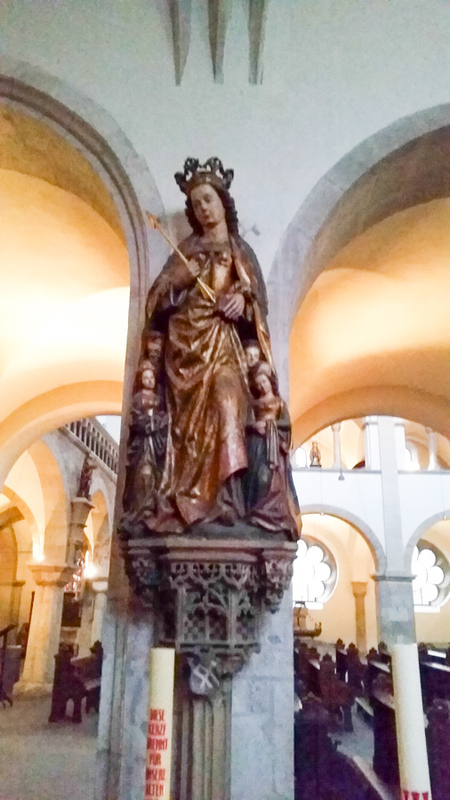 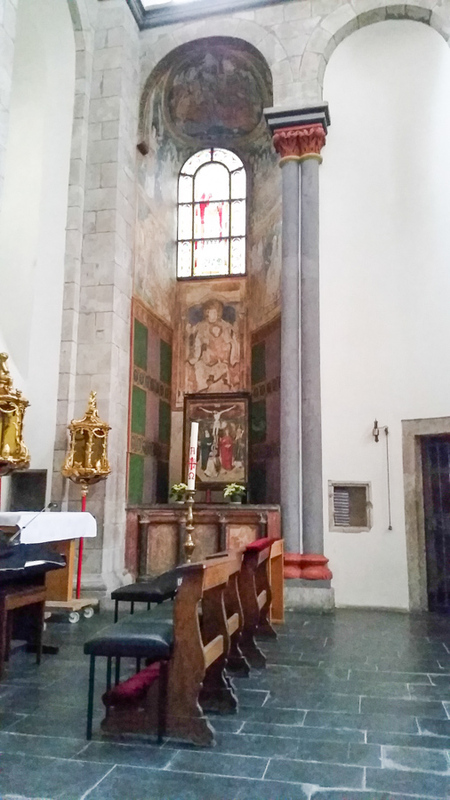 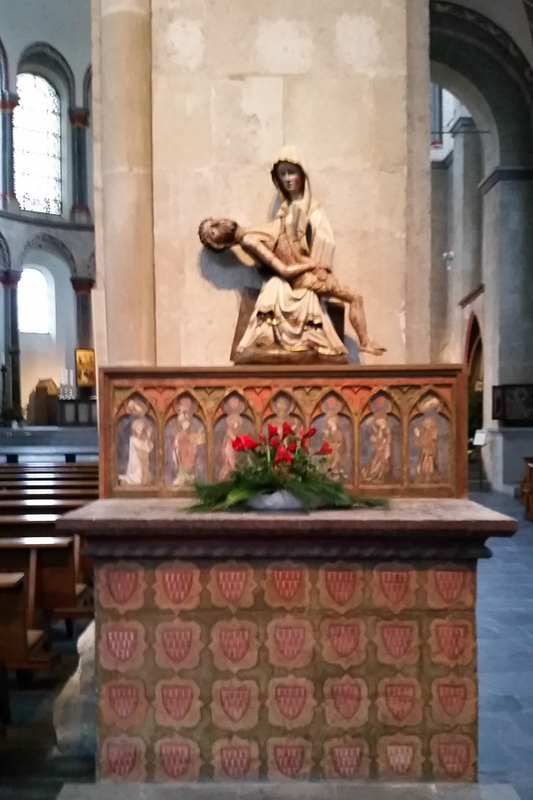 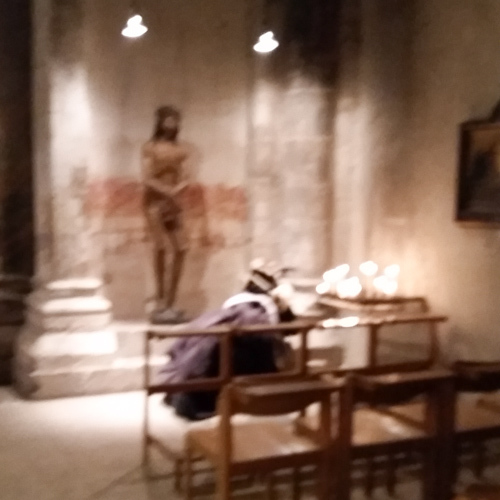 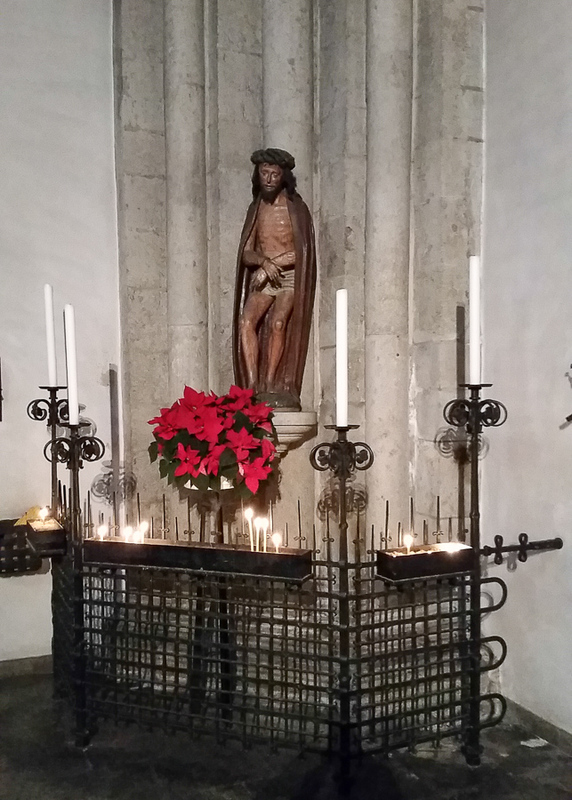 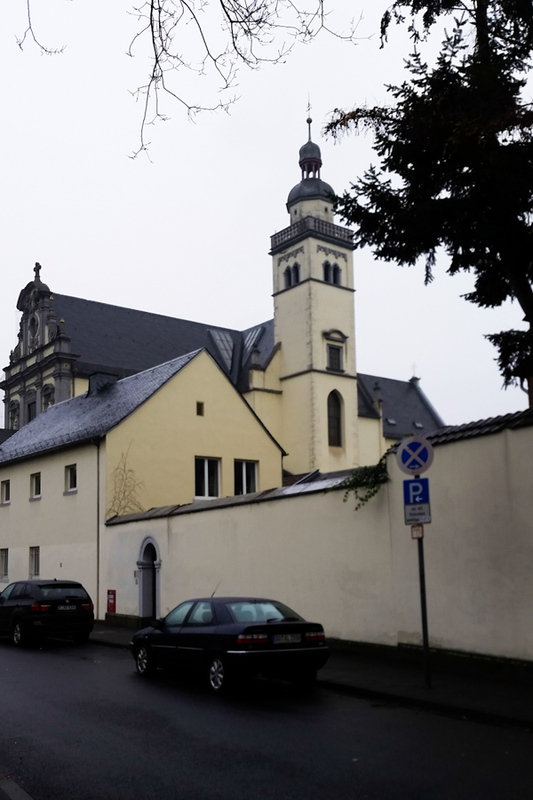 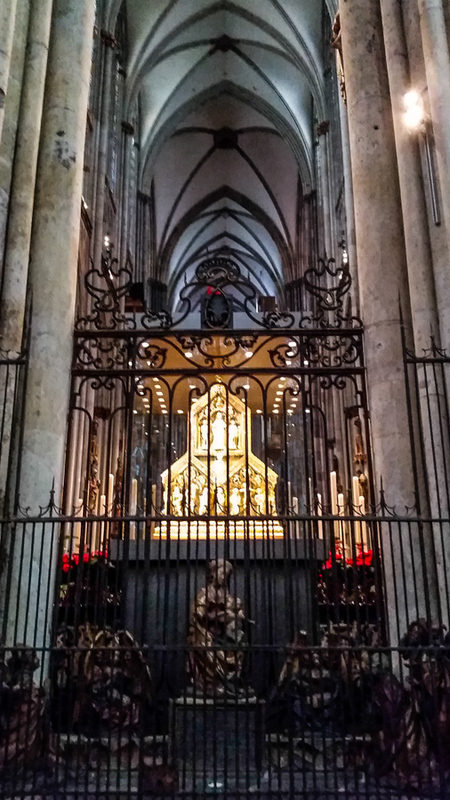 This entry was posted in Europe, Travel and tagged Cologne, Saint Edith Stein, Saint Gereon, Saint Ursula on December 24, 2015 by frjfkauffmann.